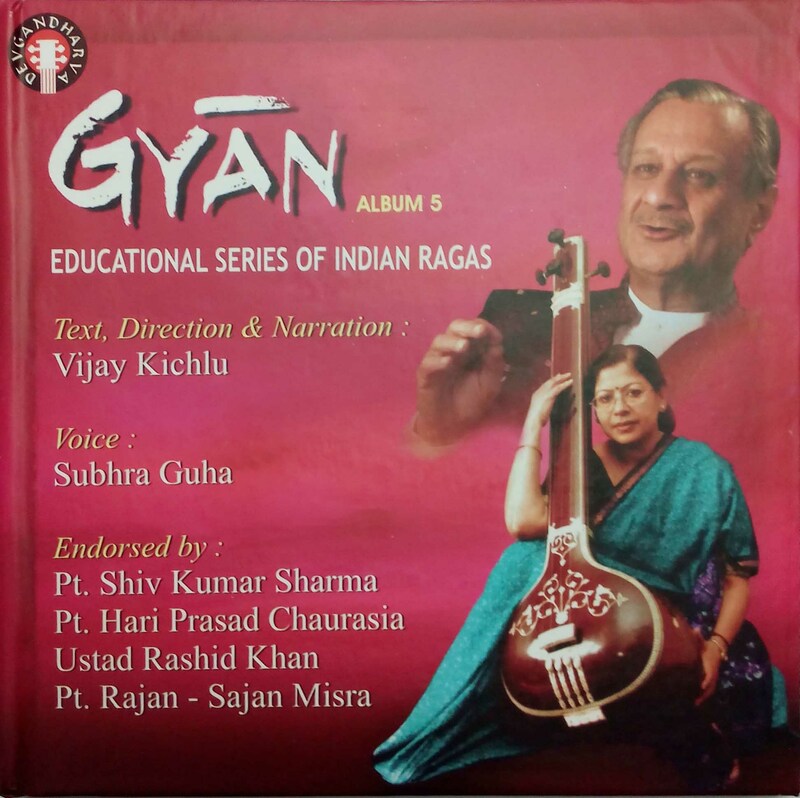 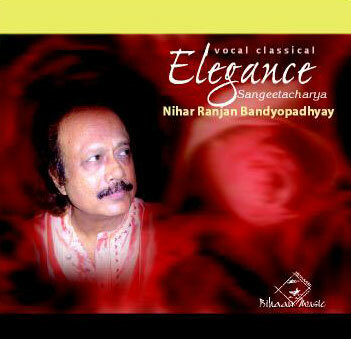 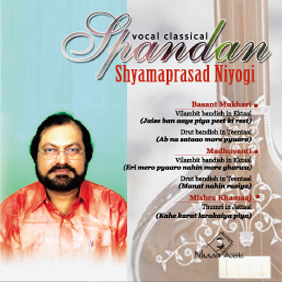 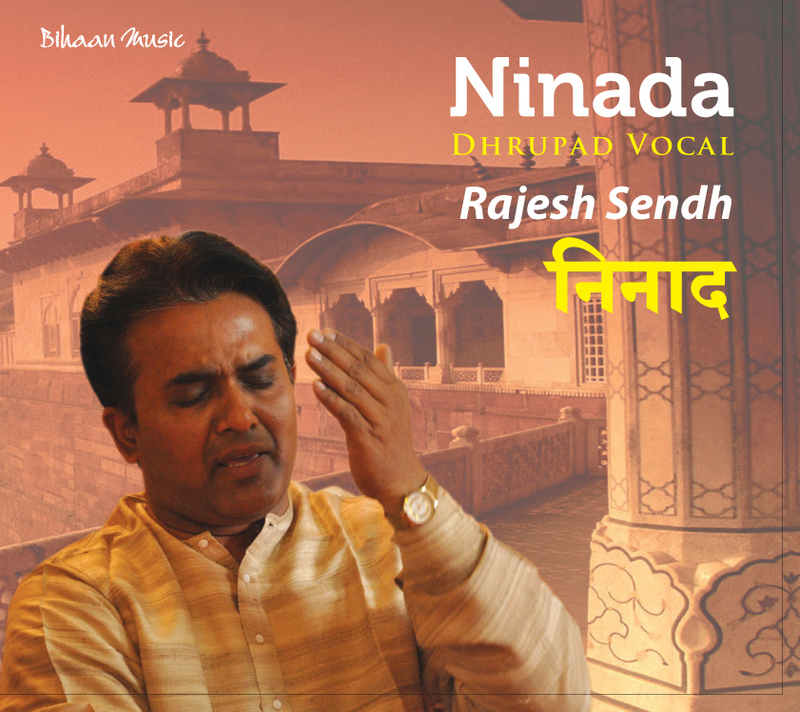 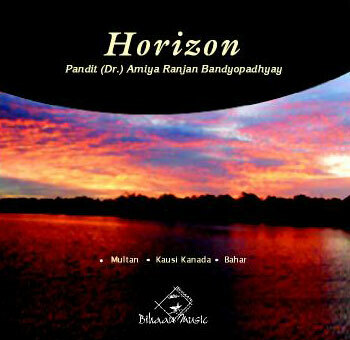 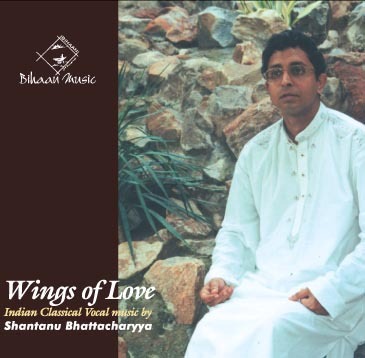 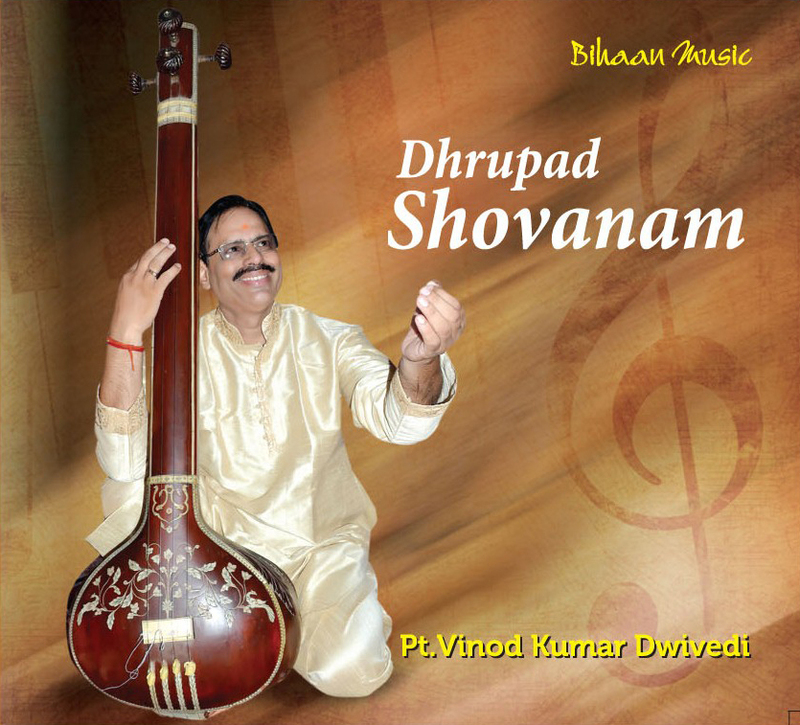 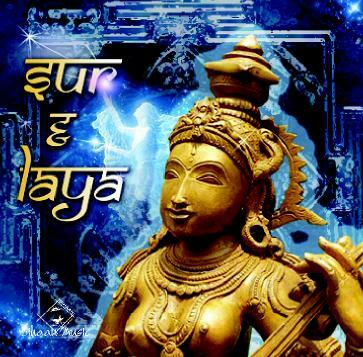 Presented by Vijay Kichlu for all students, listeners and performers an educational demonstation of Indian ragas. 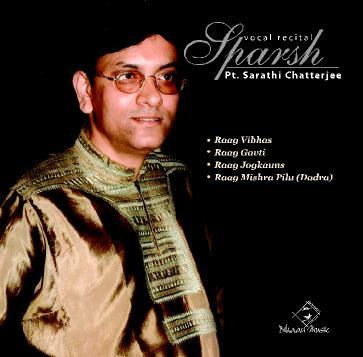 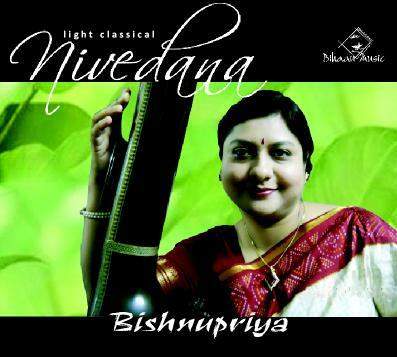 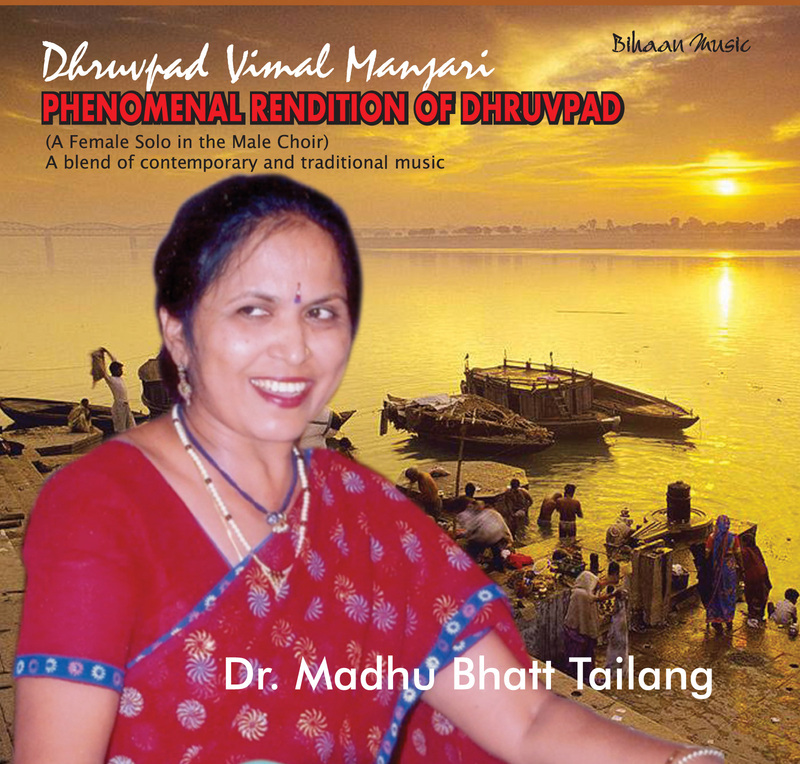 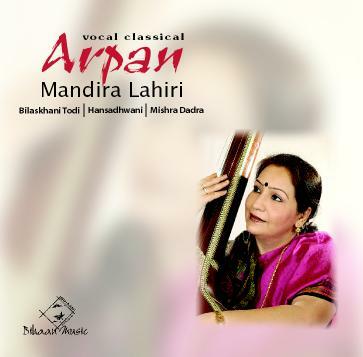 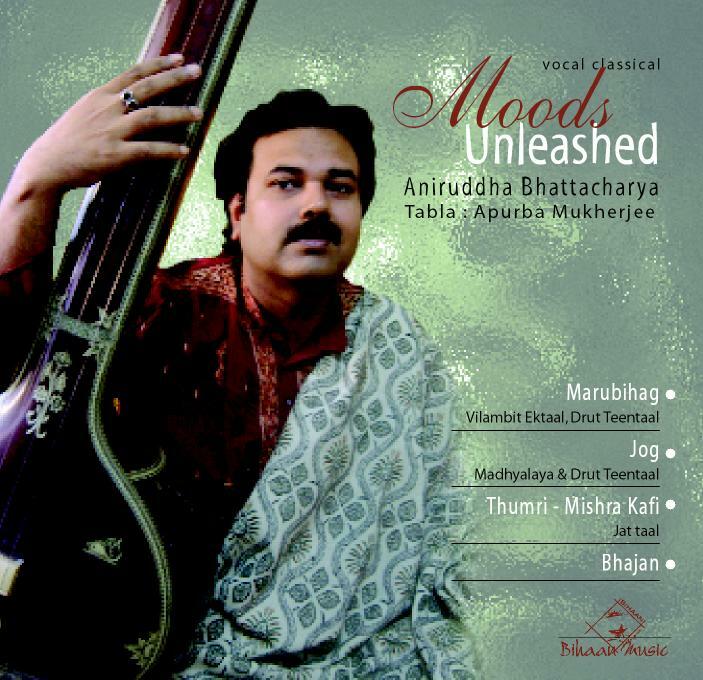 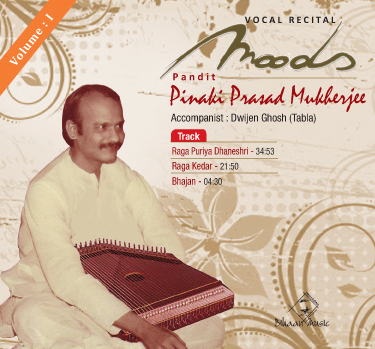 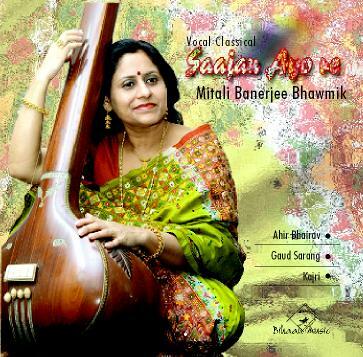 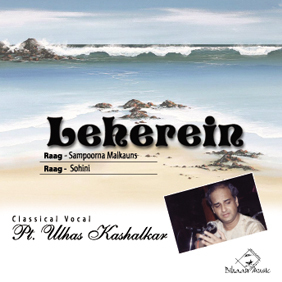 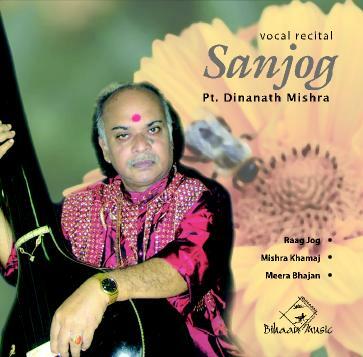 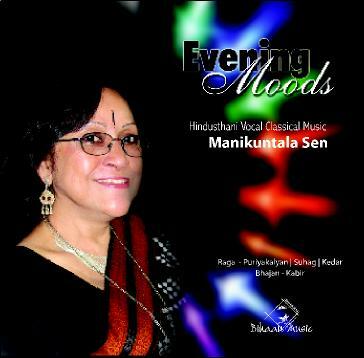 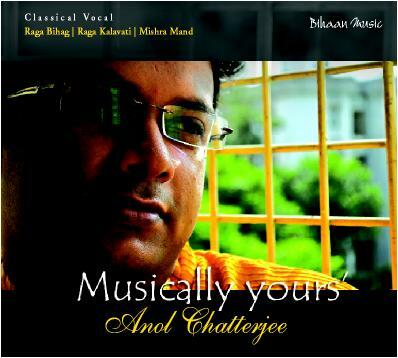 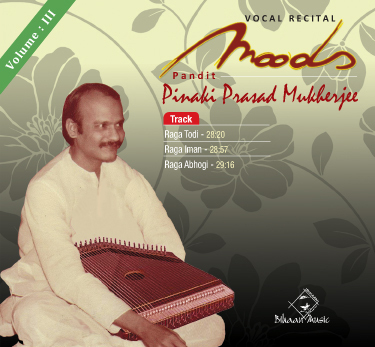 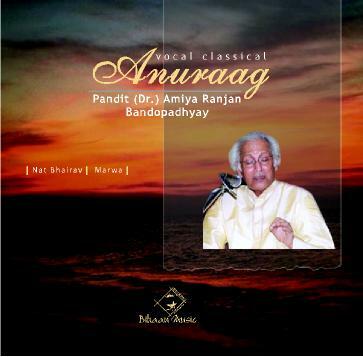 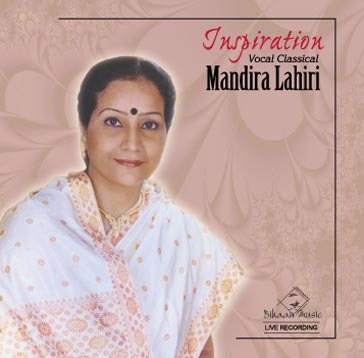 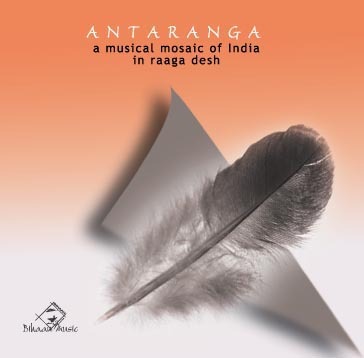 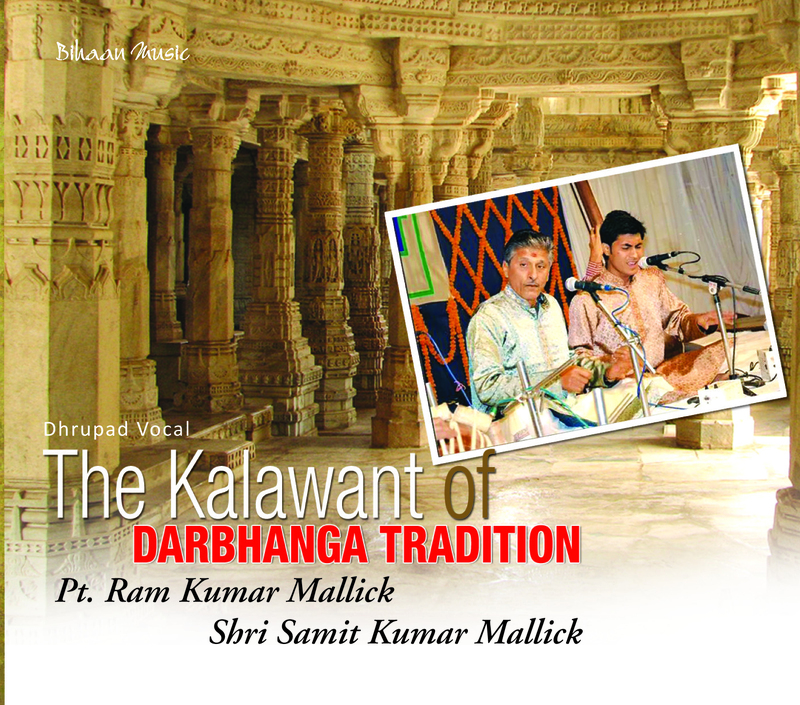 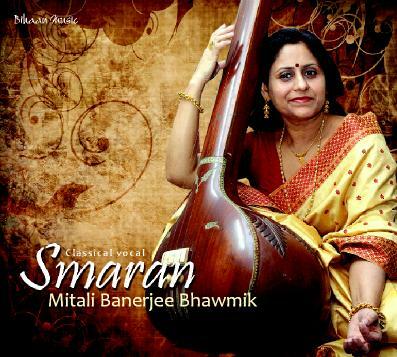 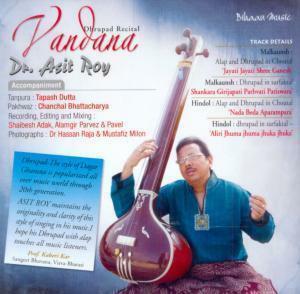 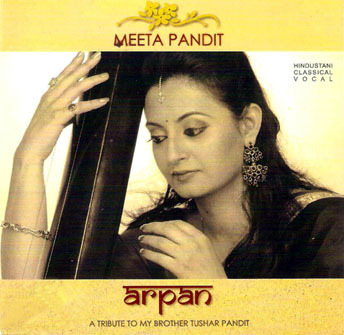 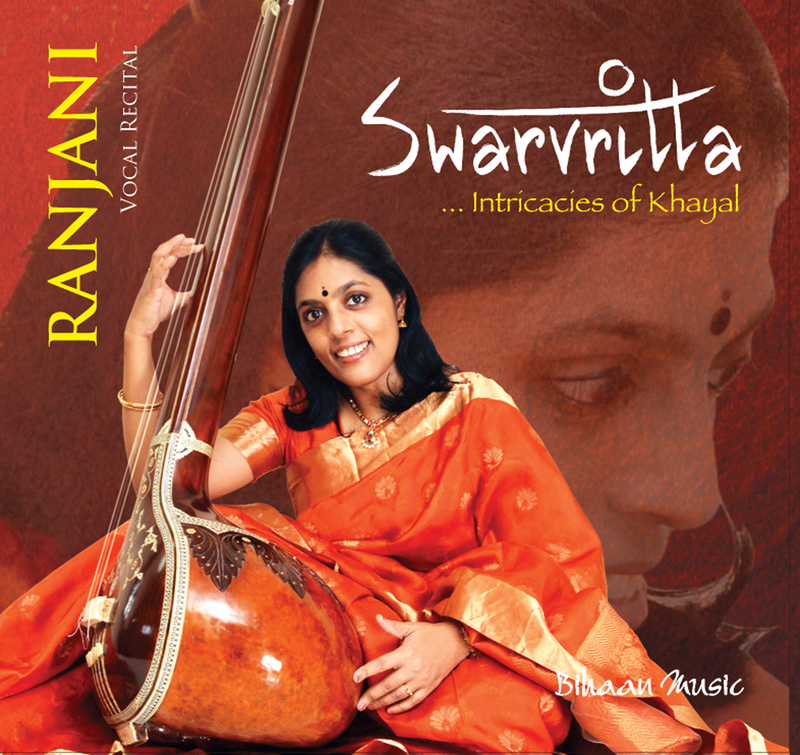 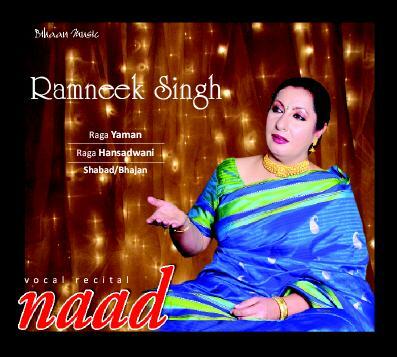 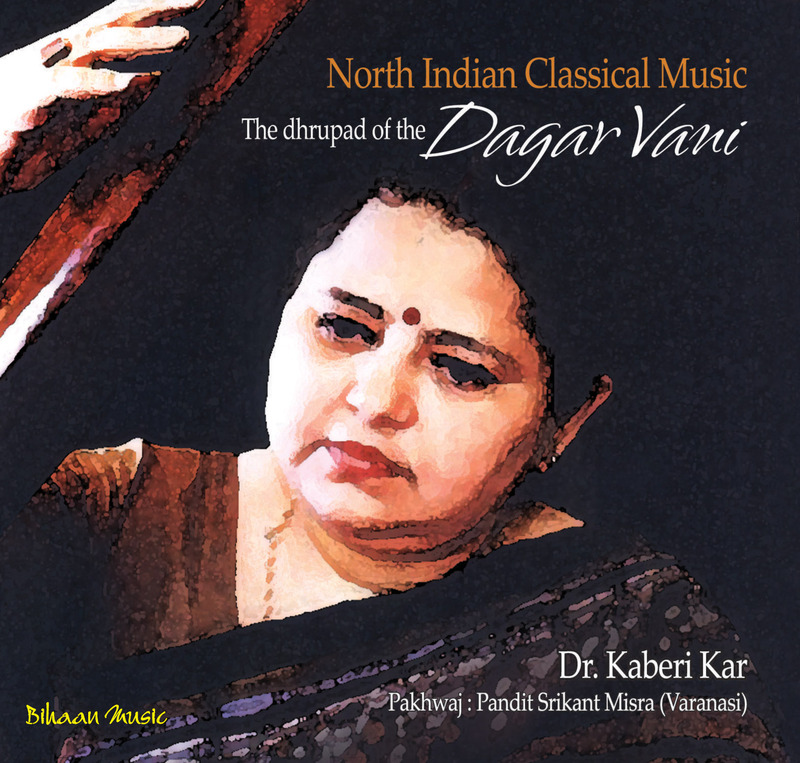 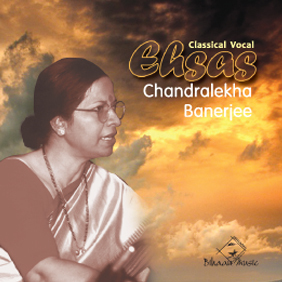 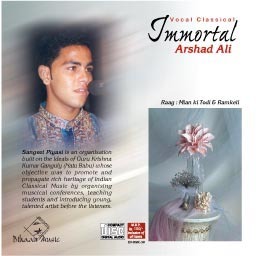 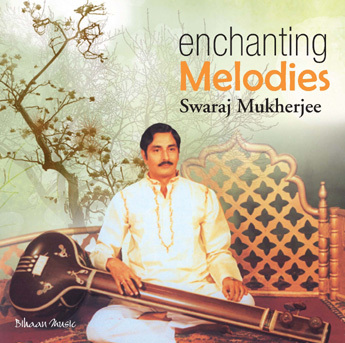 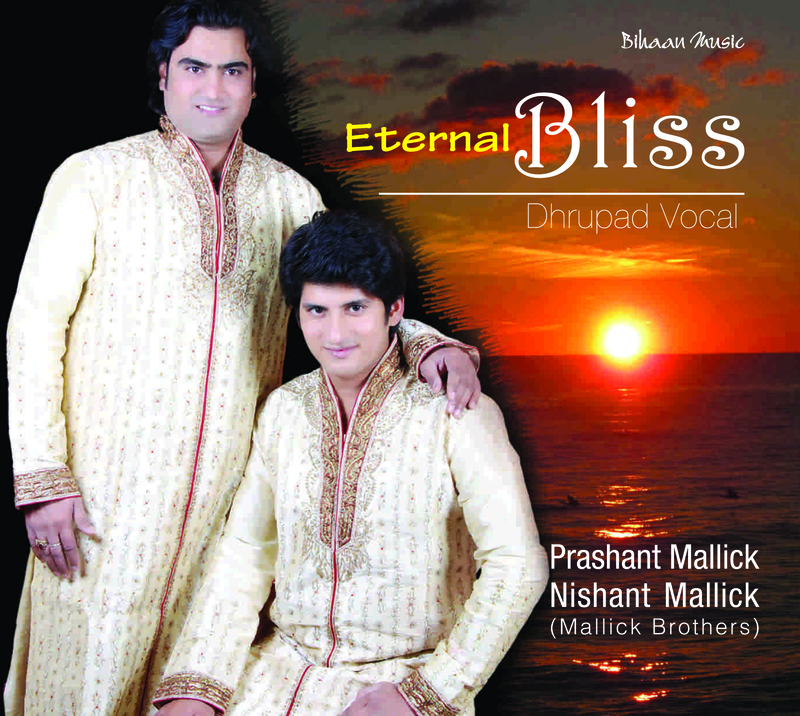 “Indian classical music has been and still is oral tradition. 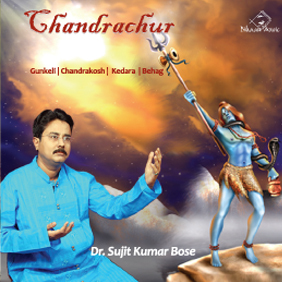 Ideally it should be learnt from a Guru who is the foundation of knowledge . 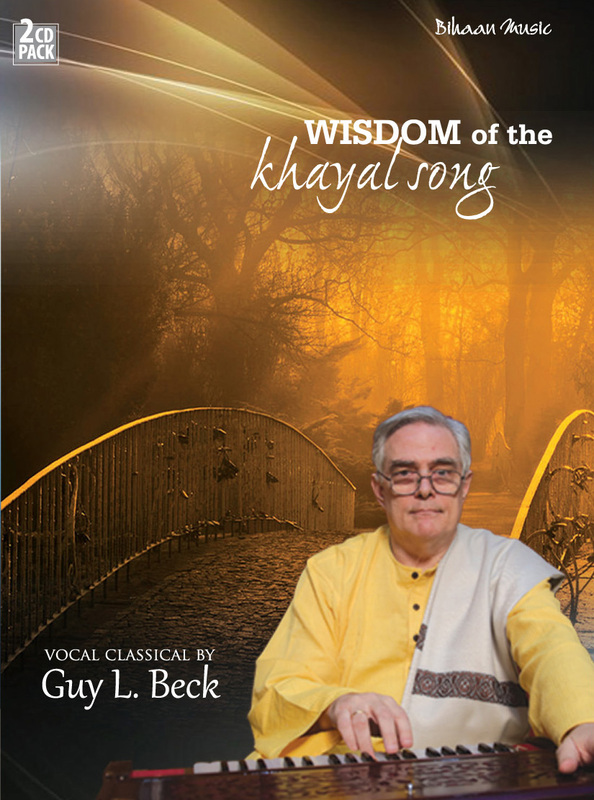 But how many students of music are able to find a learned guru to learn from? 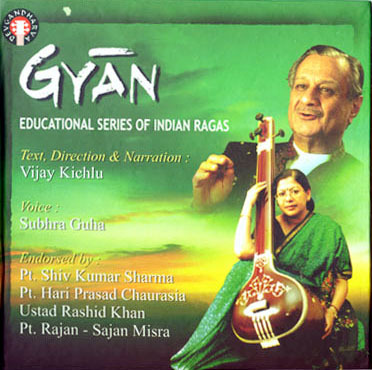 Ordinary teachers of music cannot take the place of a Guru. 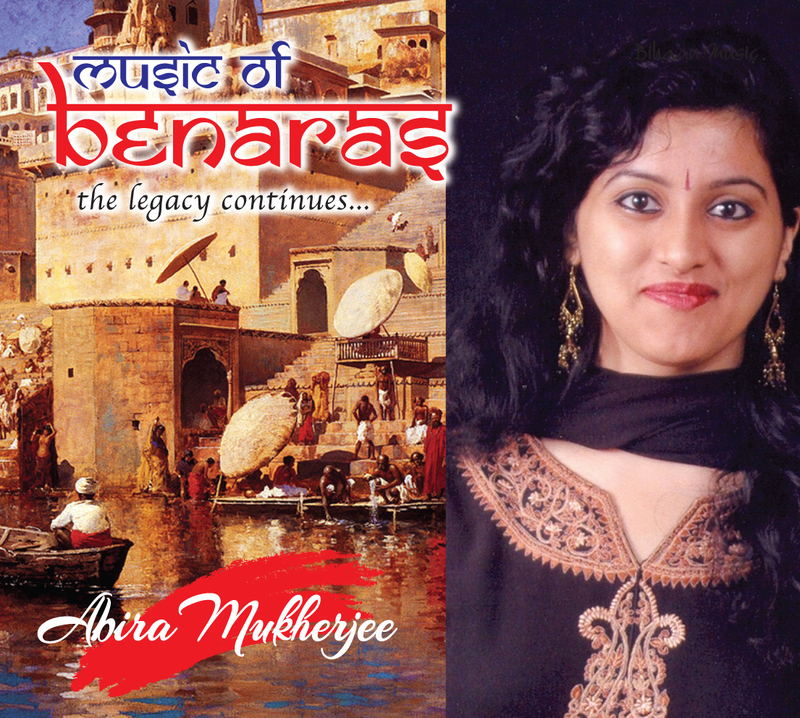 Books have their own value but they cannot make a musician. 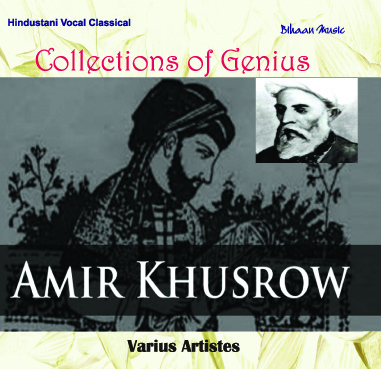 As a cosequence a good talent is often misguided or wasted and a serious student of music languishes in search of knowledge. 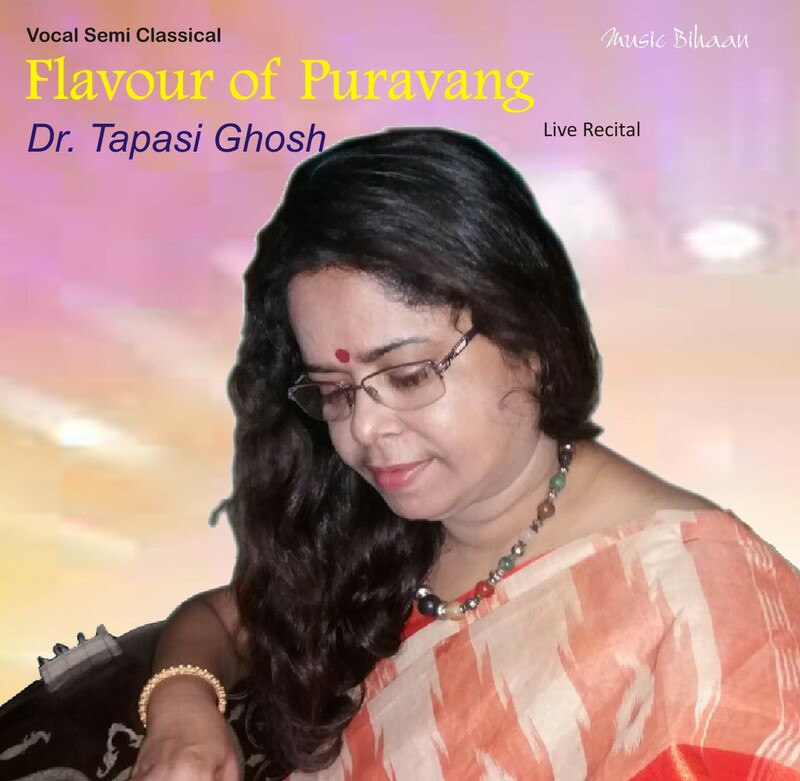 It is in this background that I have endeavoured to fall back on the second best alternative which can reach and and benefit not only the elementary students of music, but advanced students, young practitioners and some teachers also. 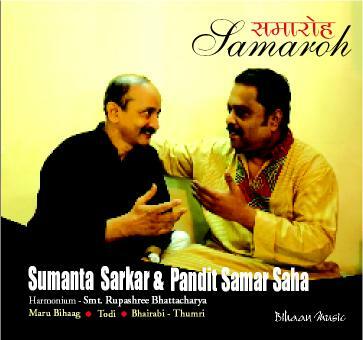 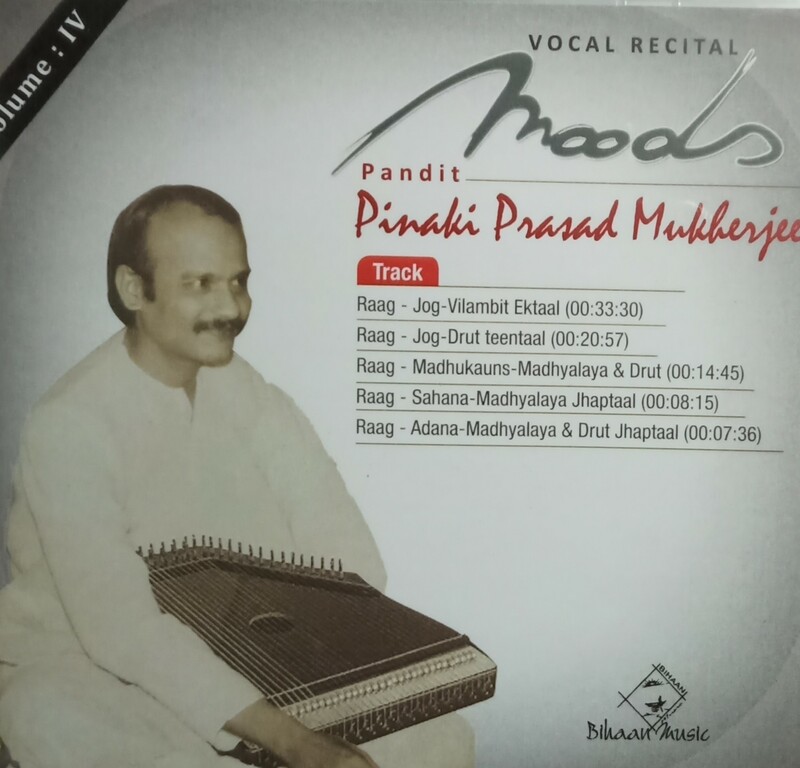 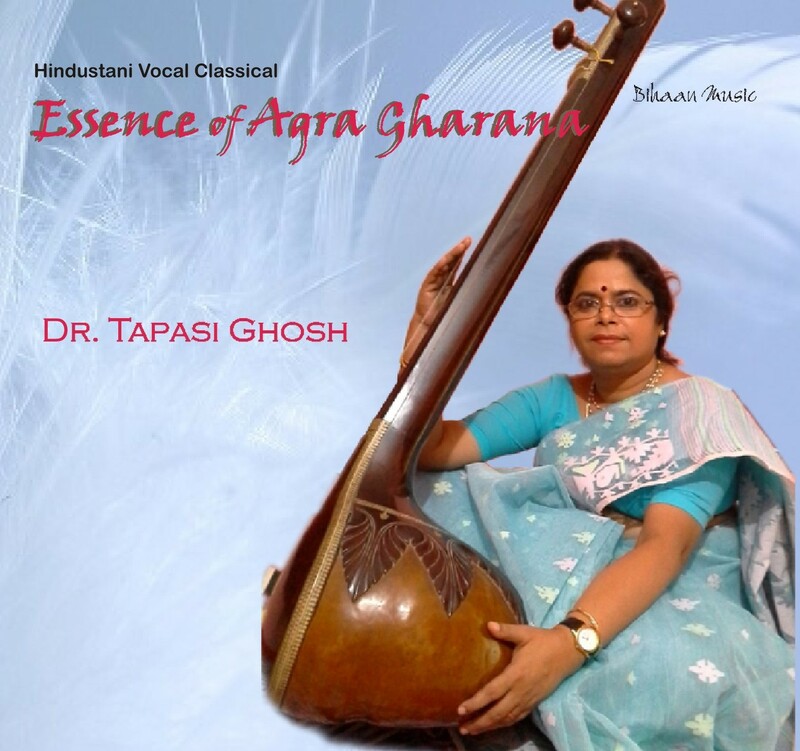 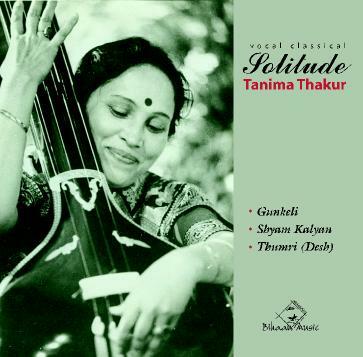 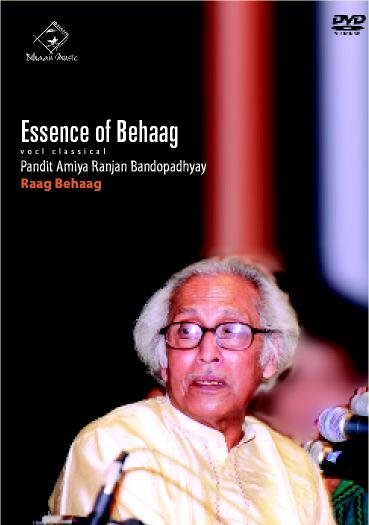 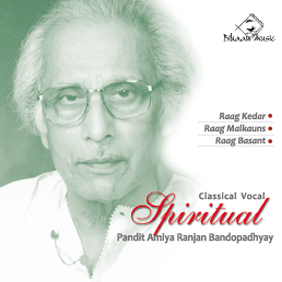 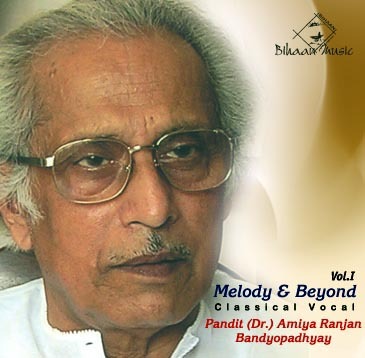 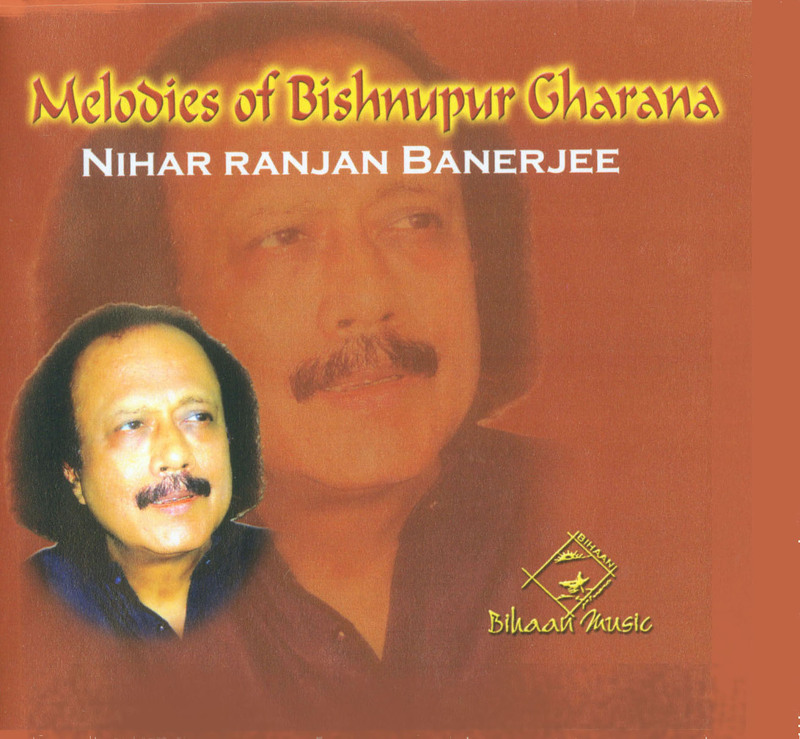 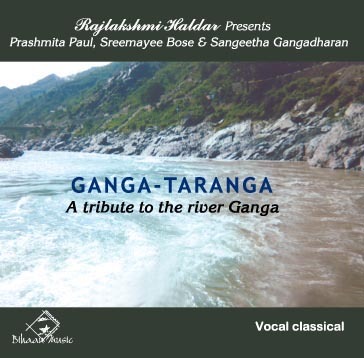 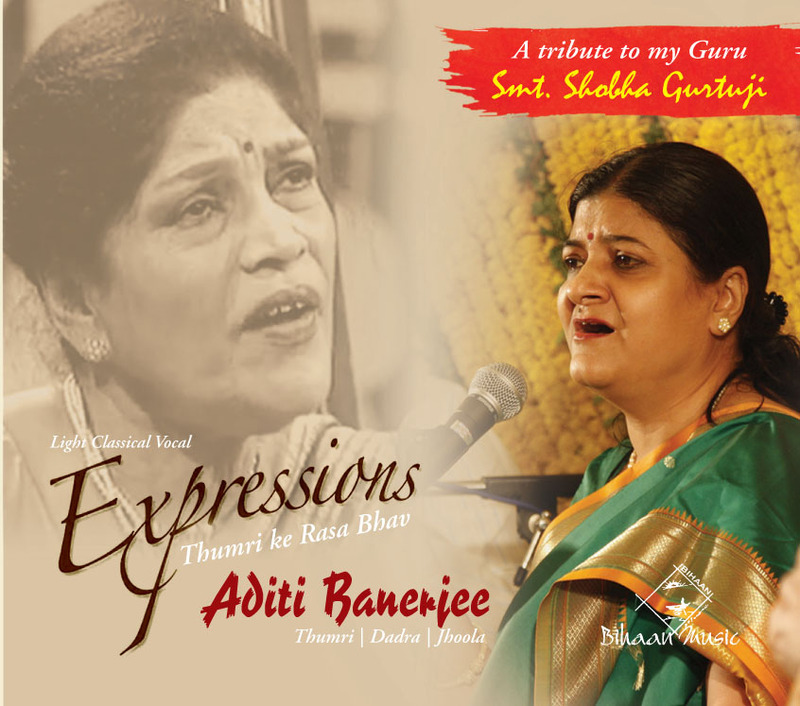 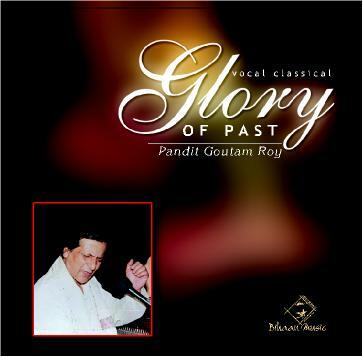 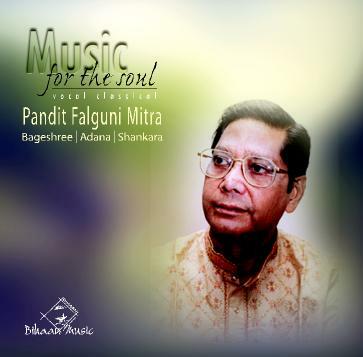 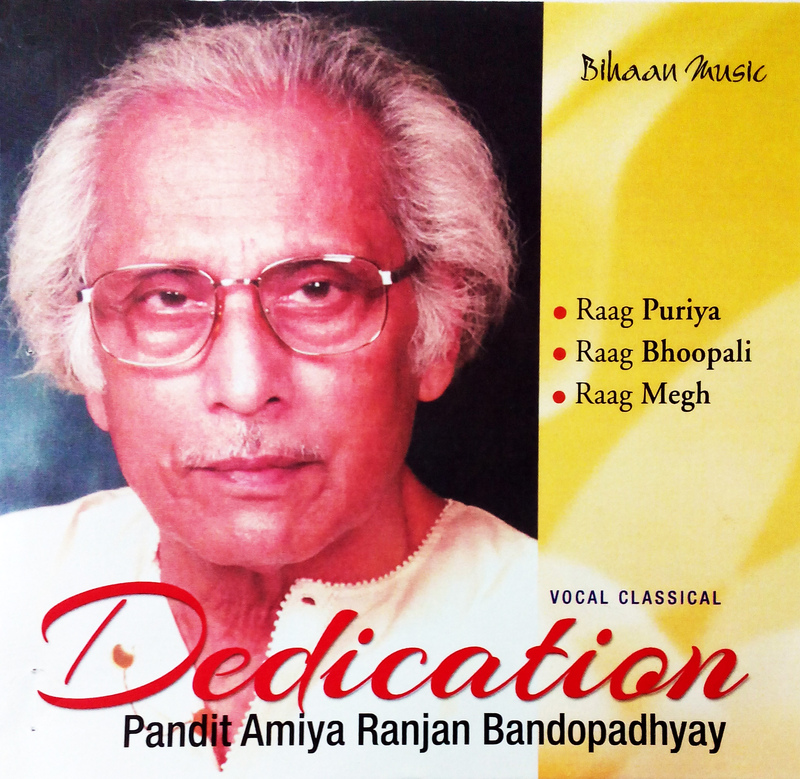 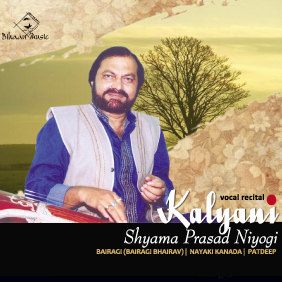 In preparing this work I acknowledge with gratitude the most valuable guidance which I received from time to time from Late K.G.Ginde and Late Ram Ashray Jha both of whom I have regarded as amongst the most learned musicians of the last few decades. 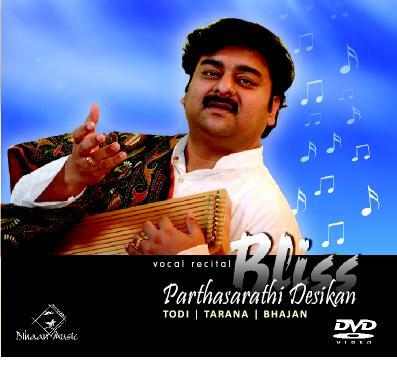 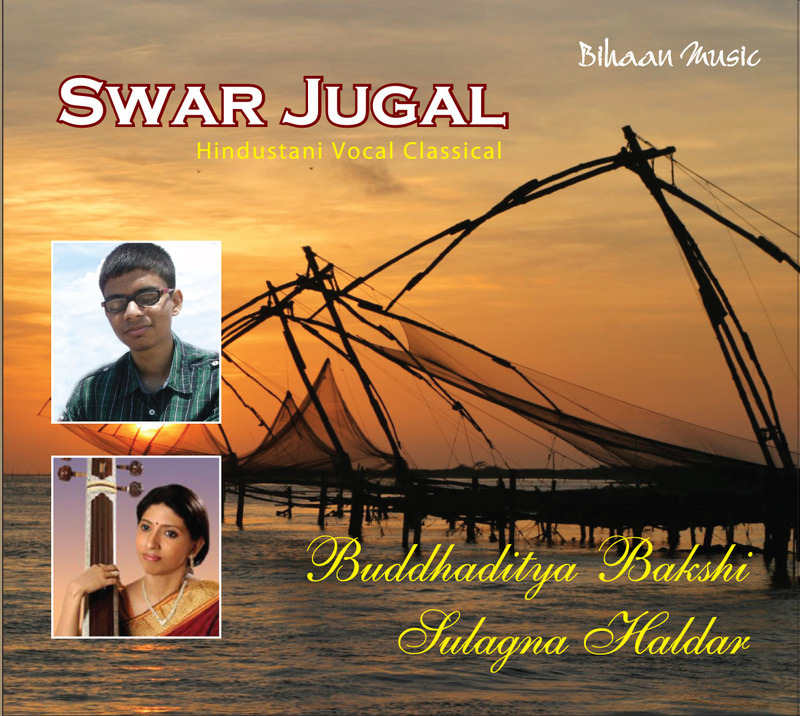 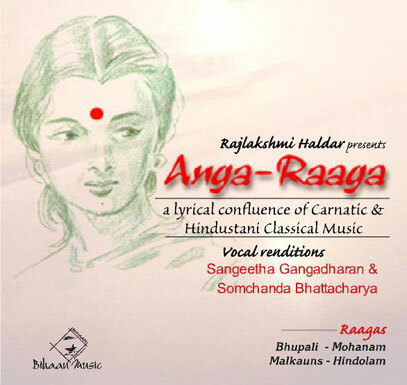 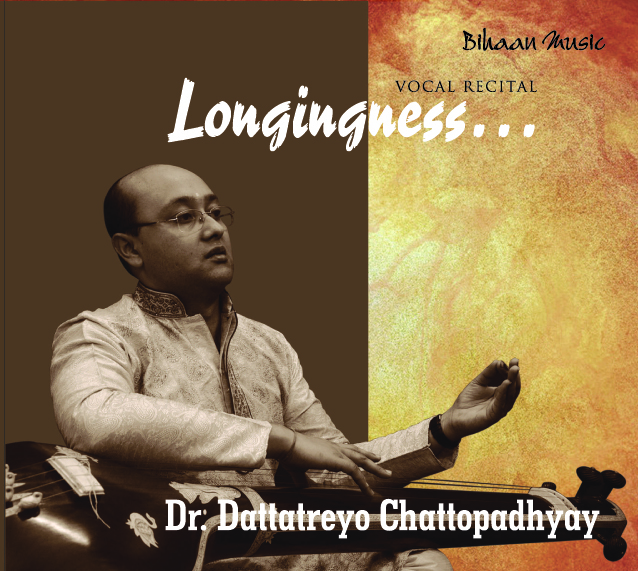 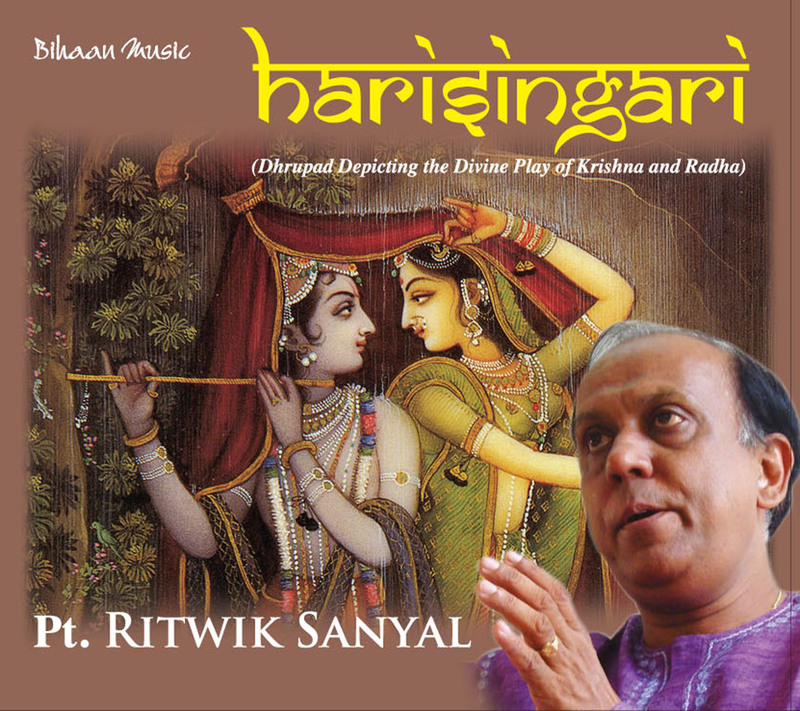 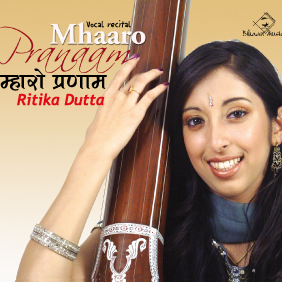 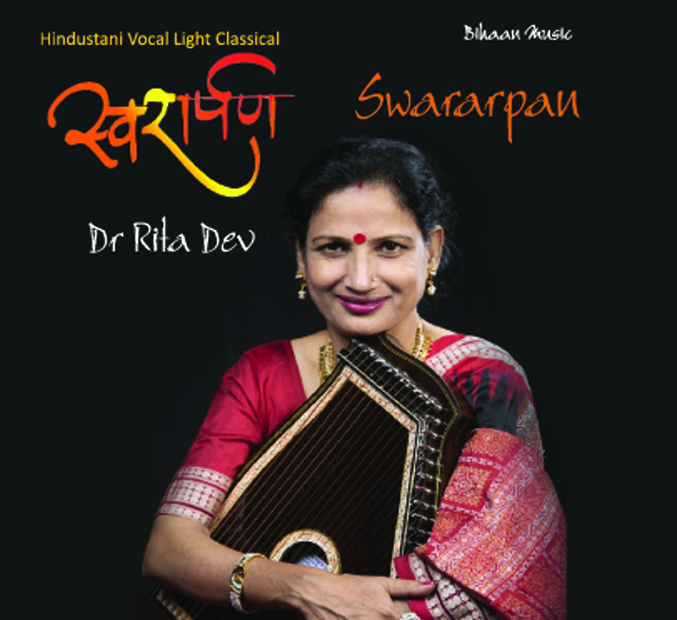 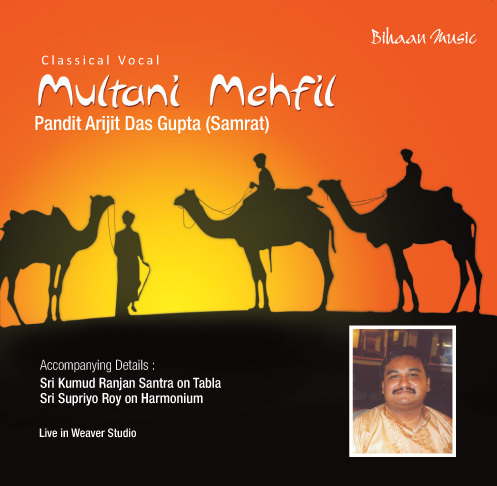 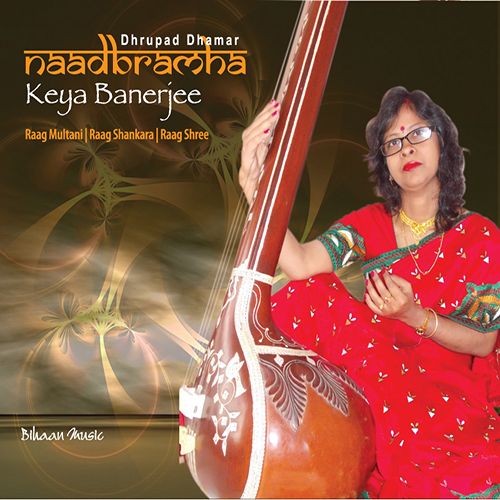 My work will not be confirmed to this or a few more albums.I plan to cover around 60 ragas which are commonly learned by students,elementary and advanced and used by performers. 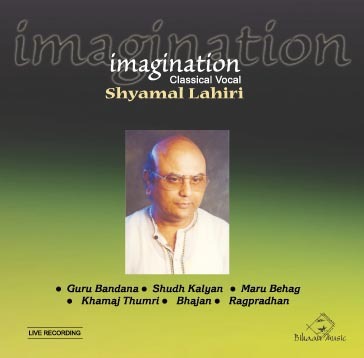 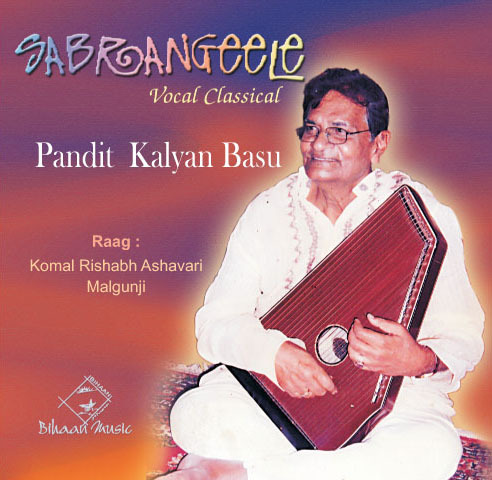 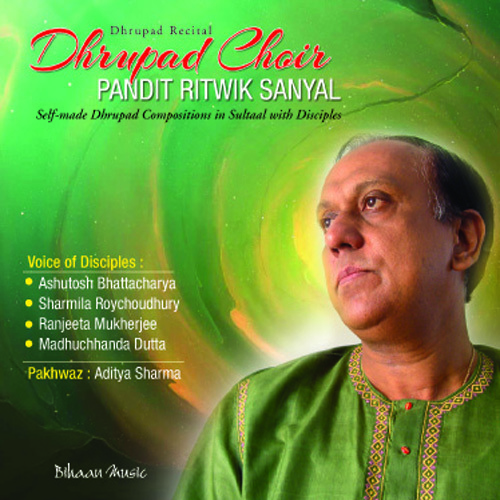 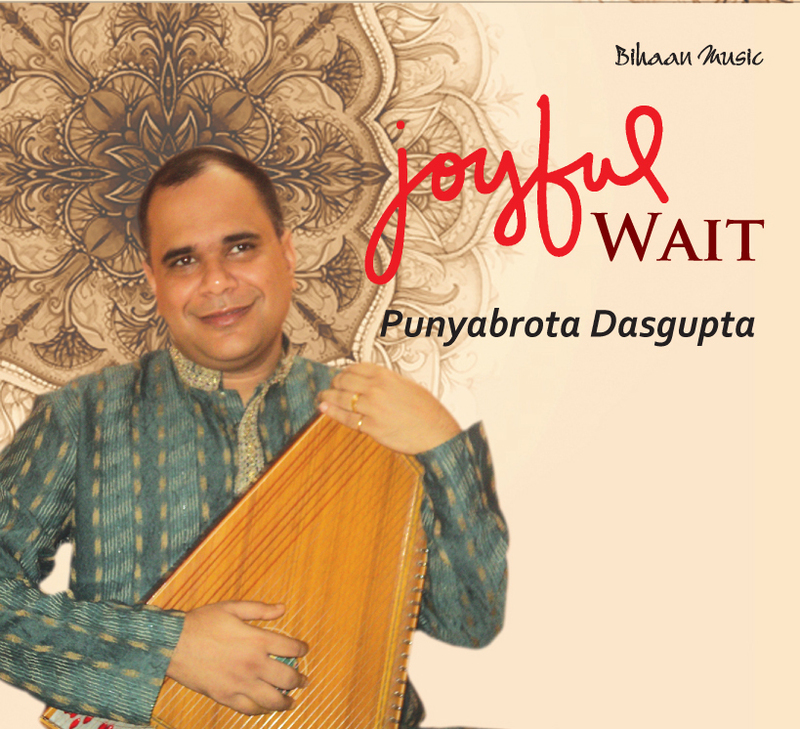 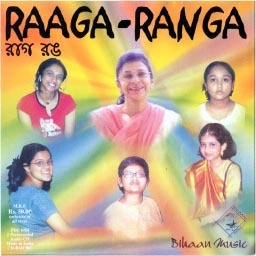 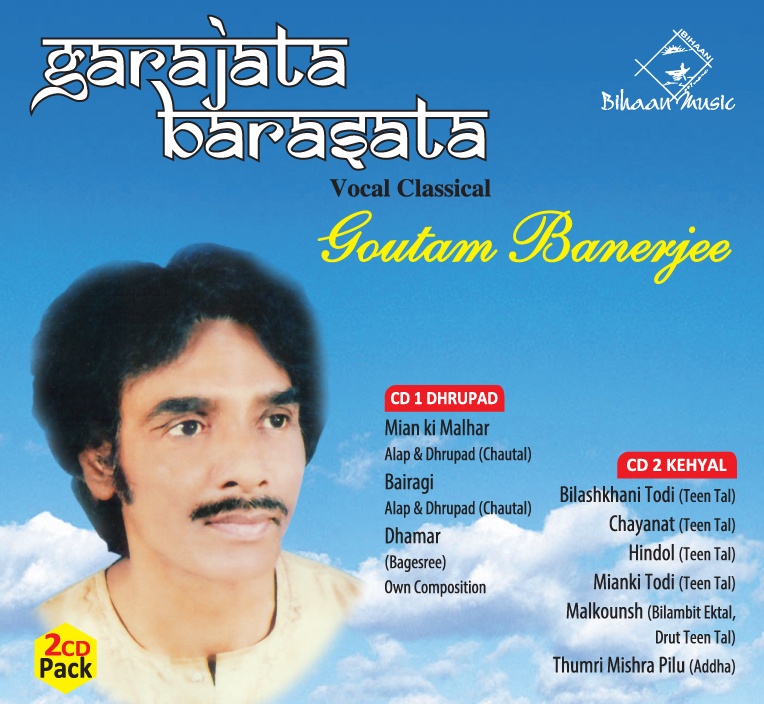 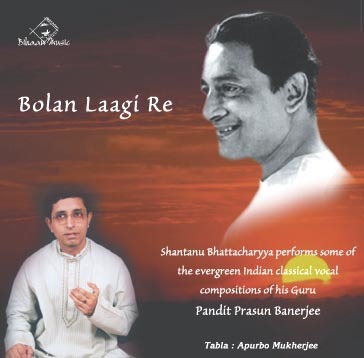 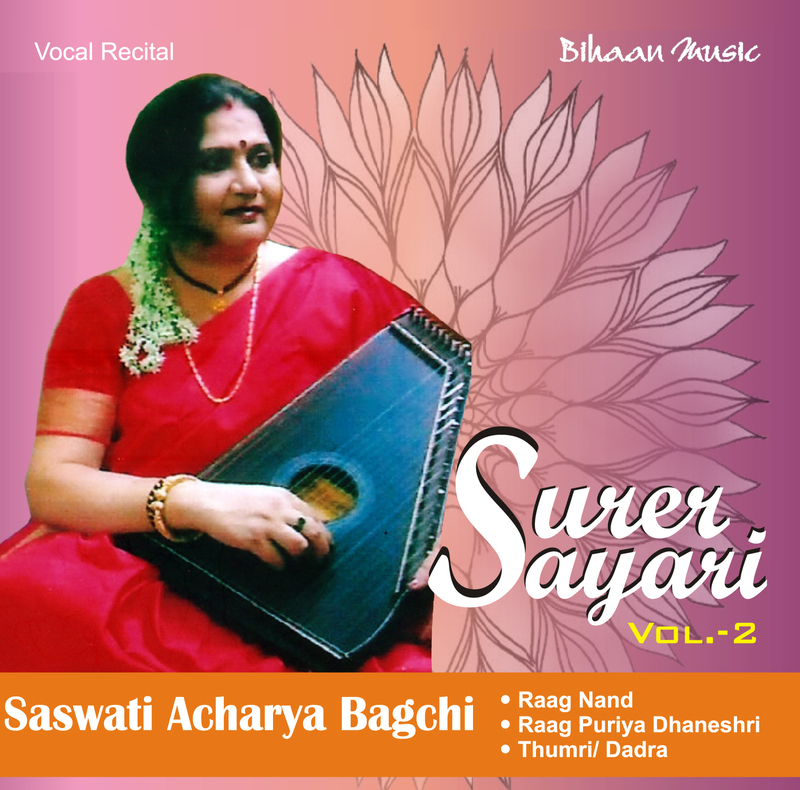 B y and large the format will also remain the same,each cd containing 4 to 5 ragas which are very close to each other and where both students and aspiring performers need clarity understanding. 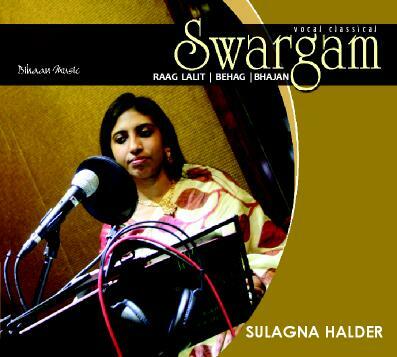 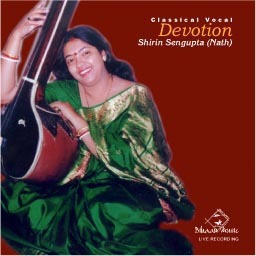 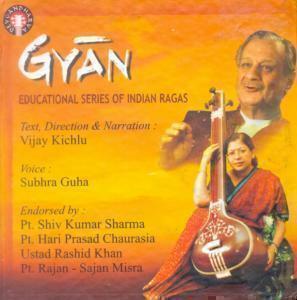 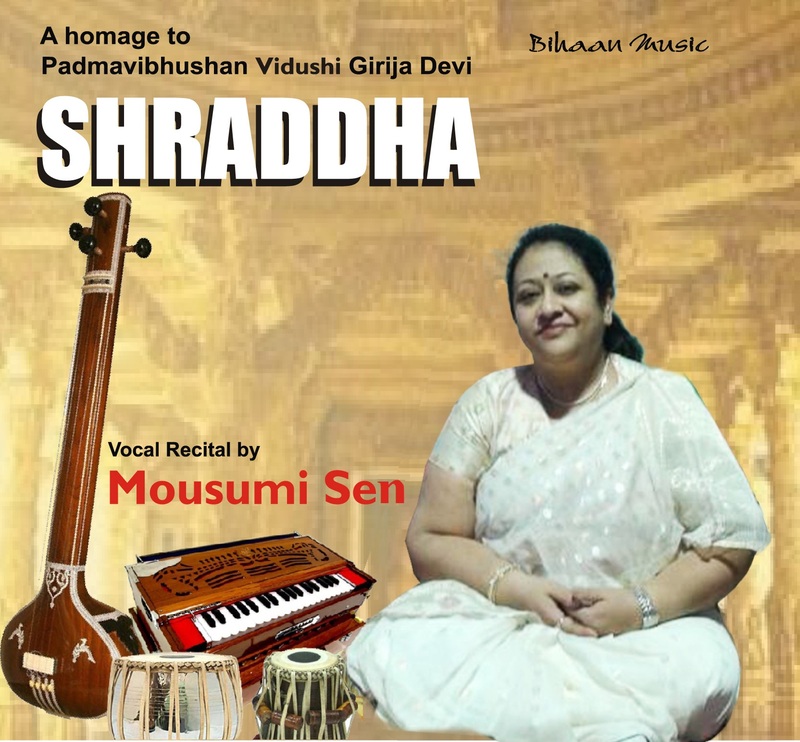 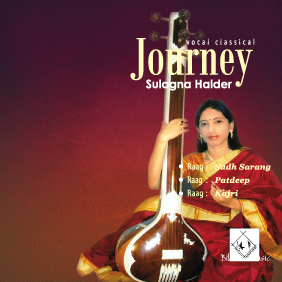 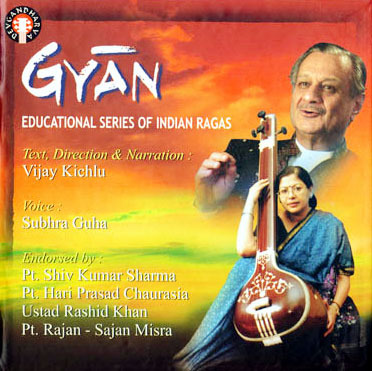 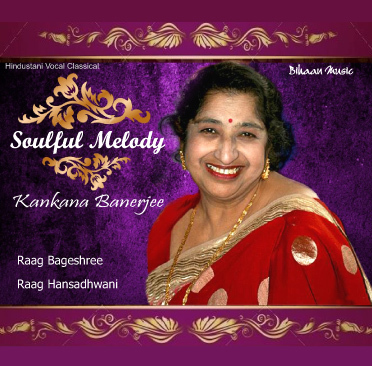 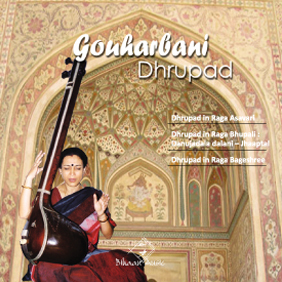 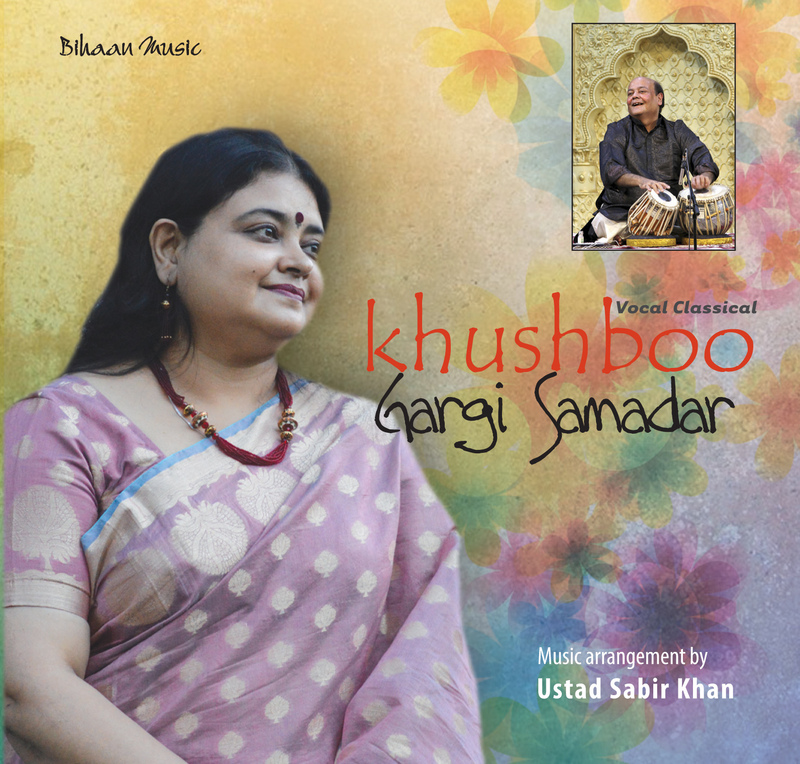 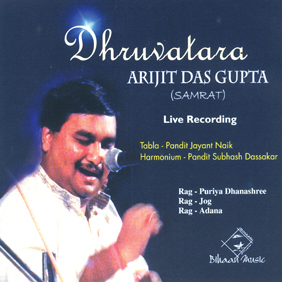 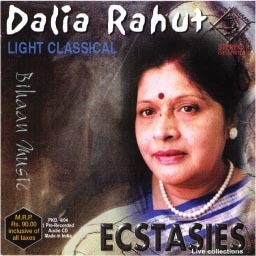 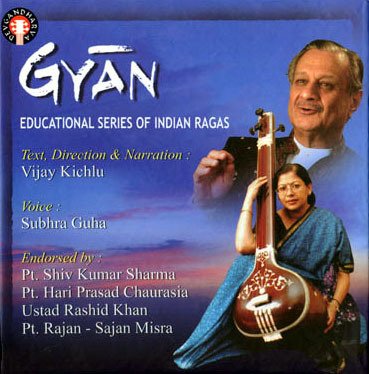 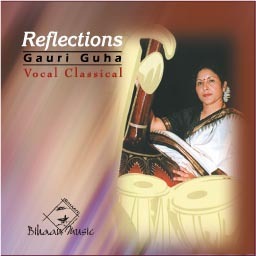 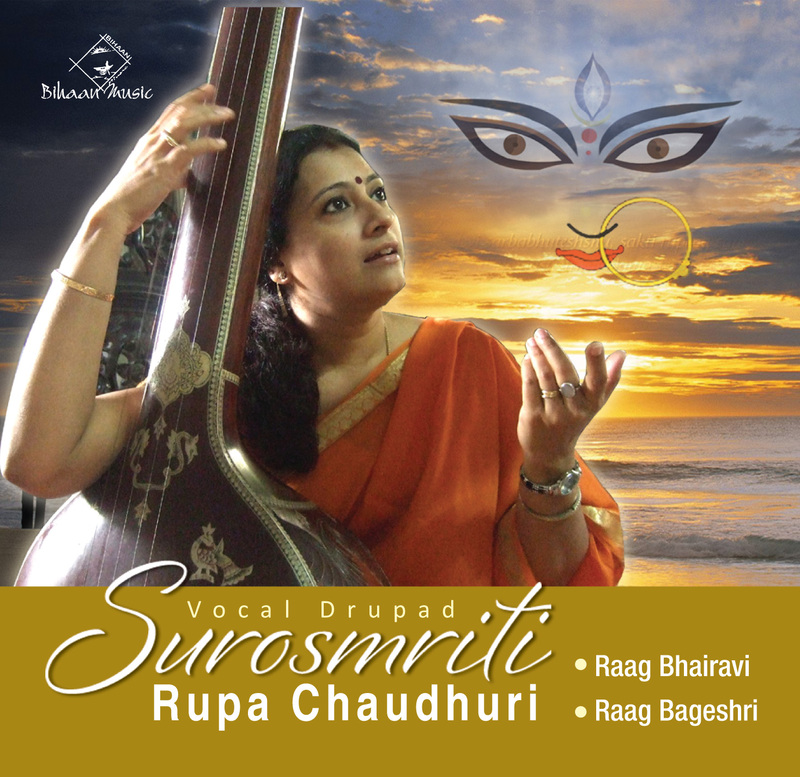 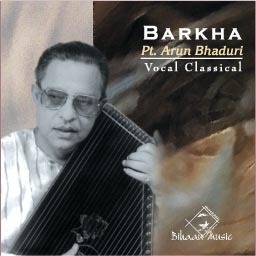 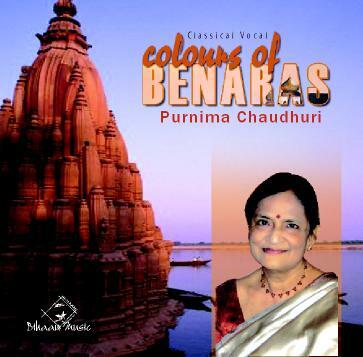 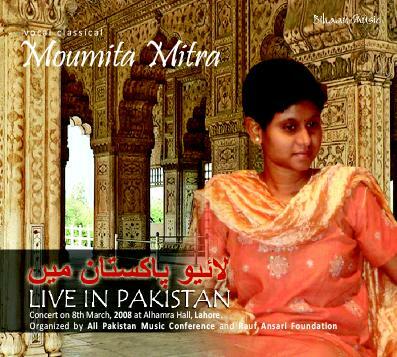 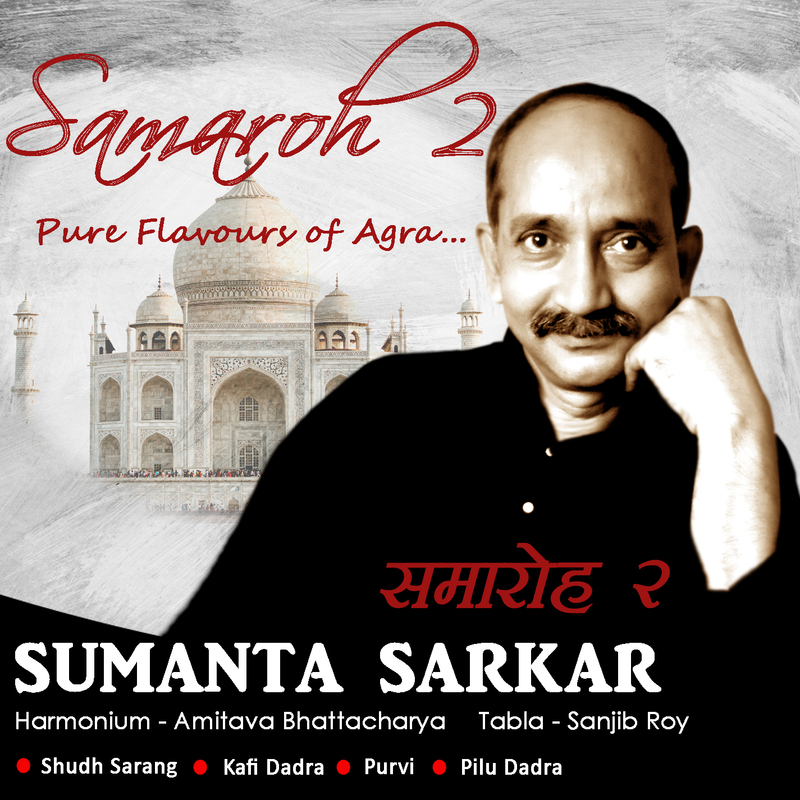 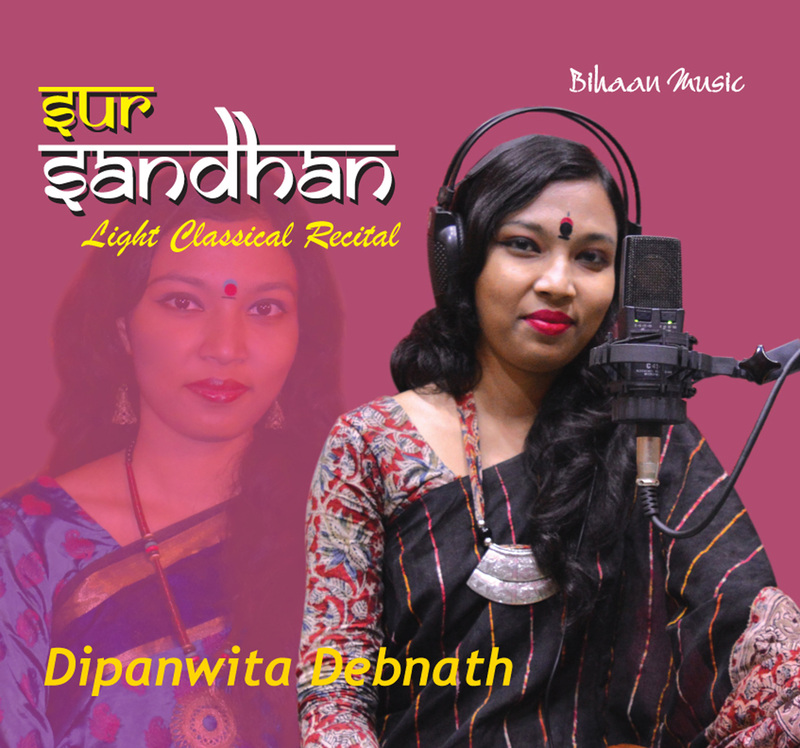 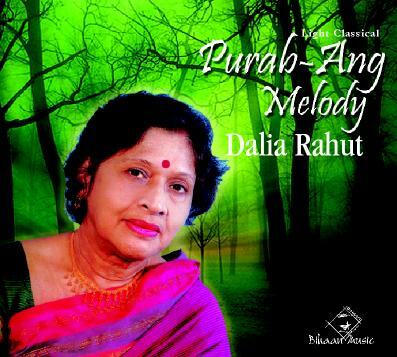 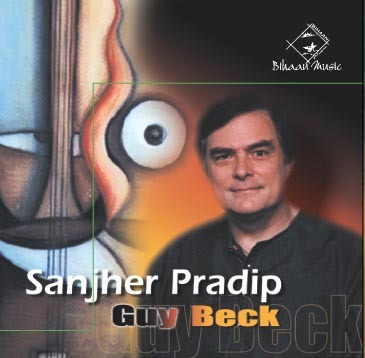 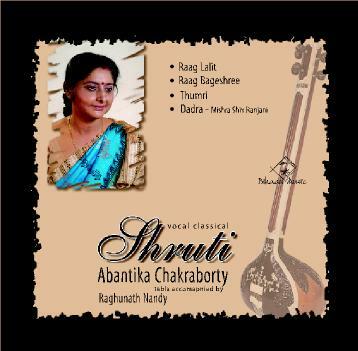 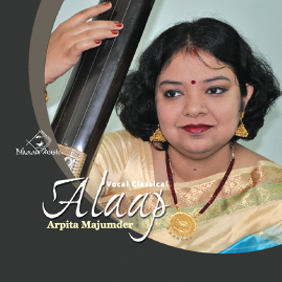 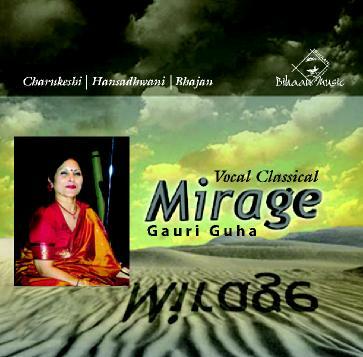 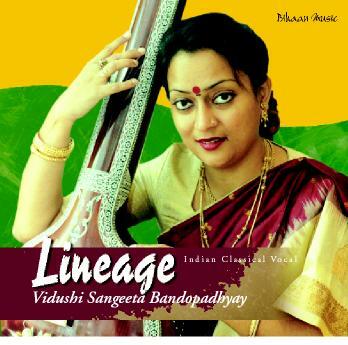 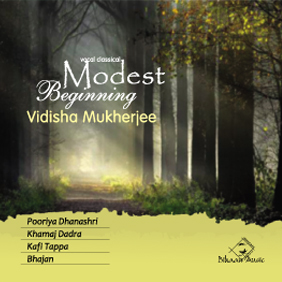 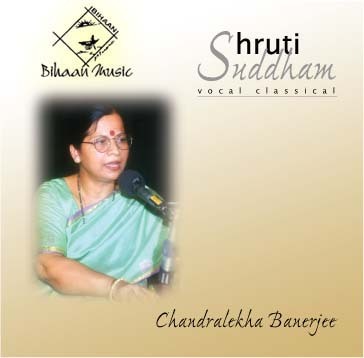 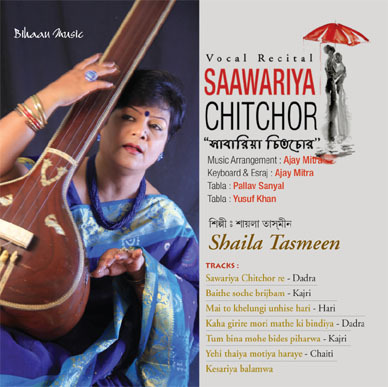 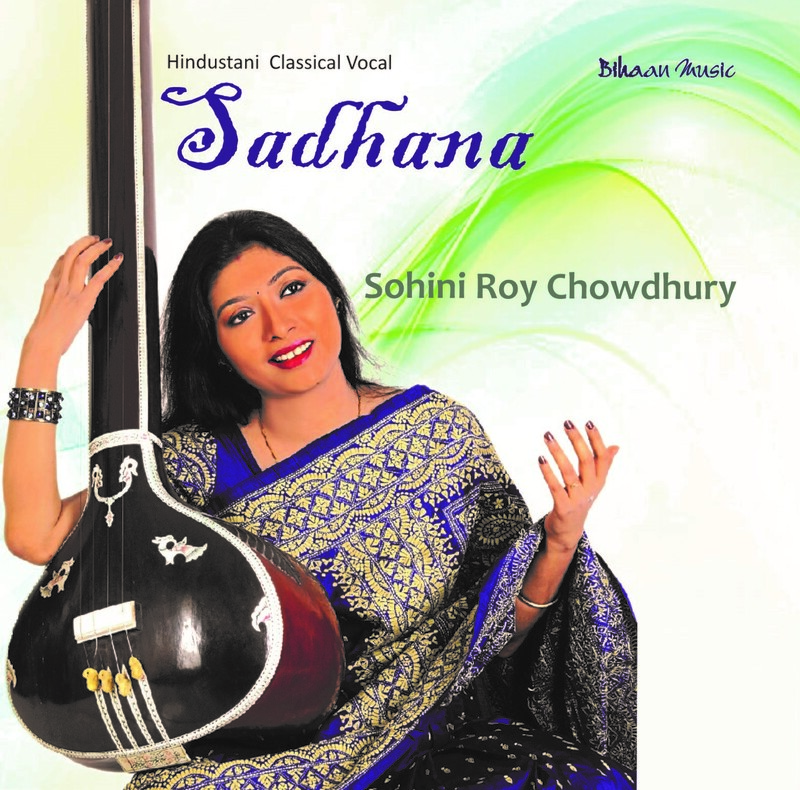 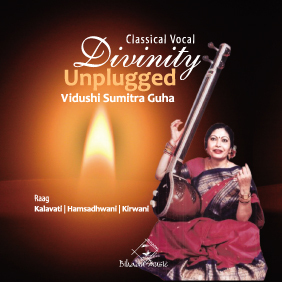 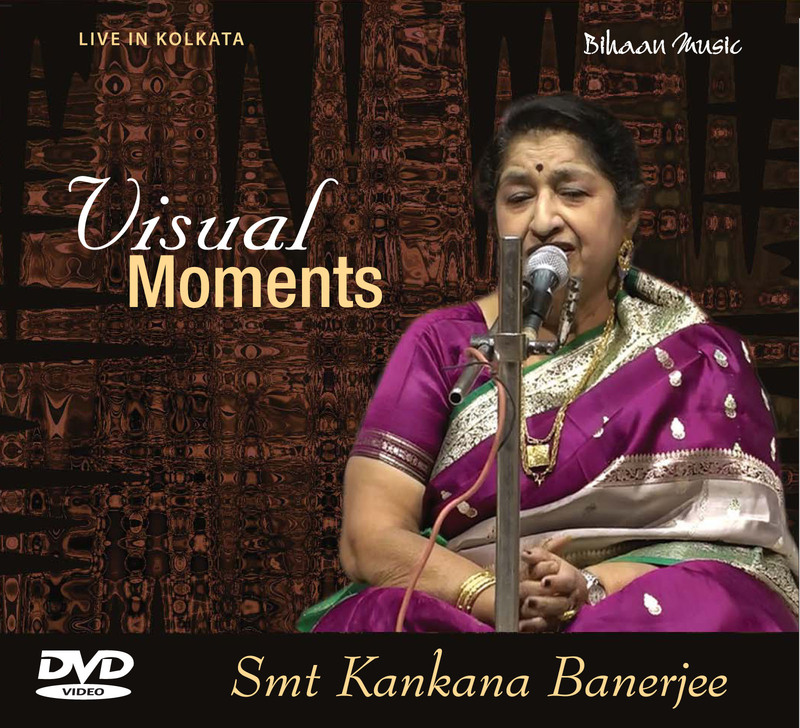 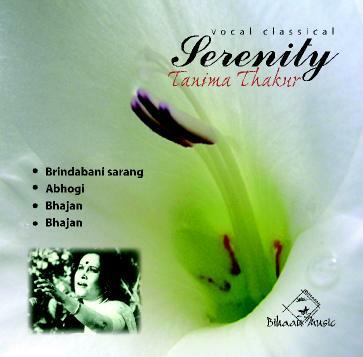 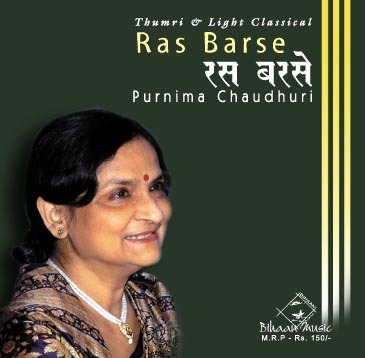 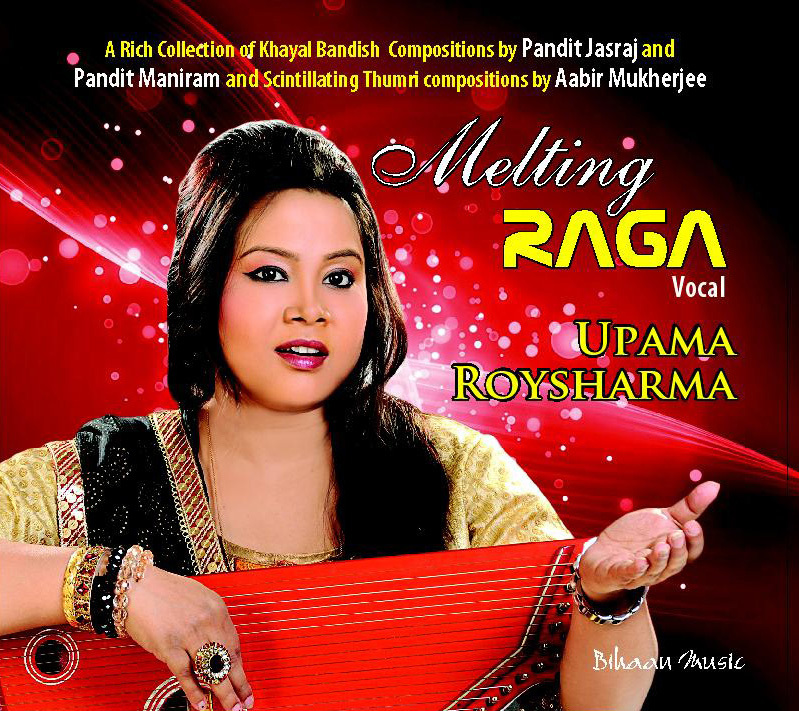 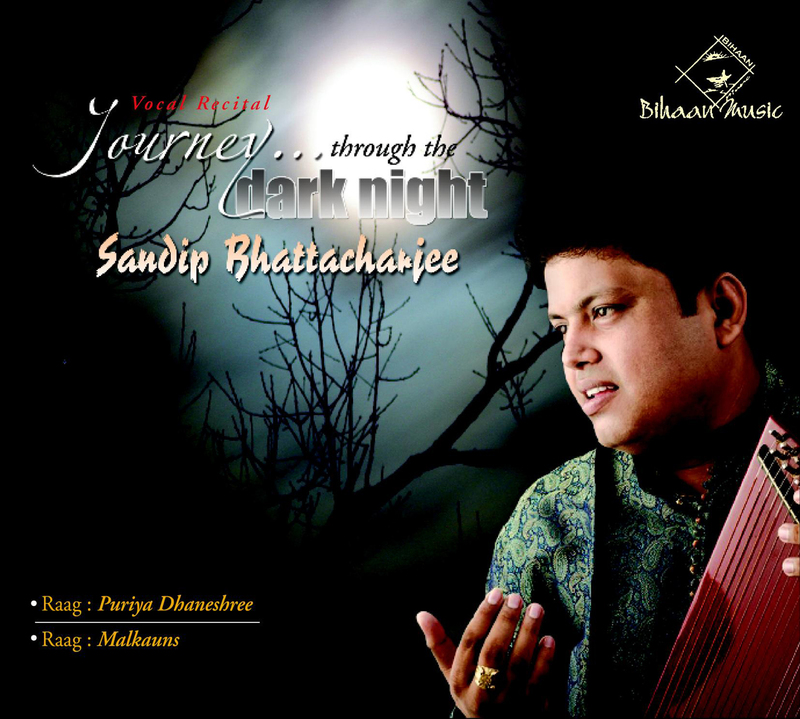 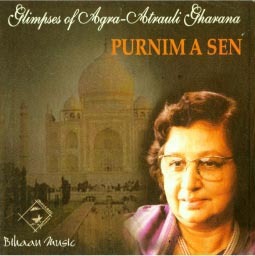 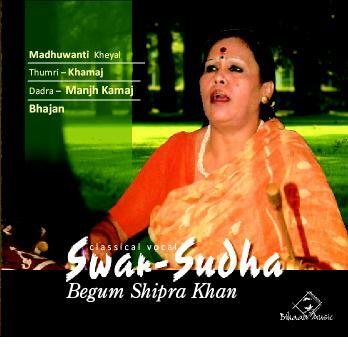 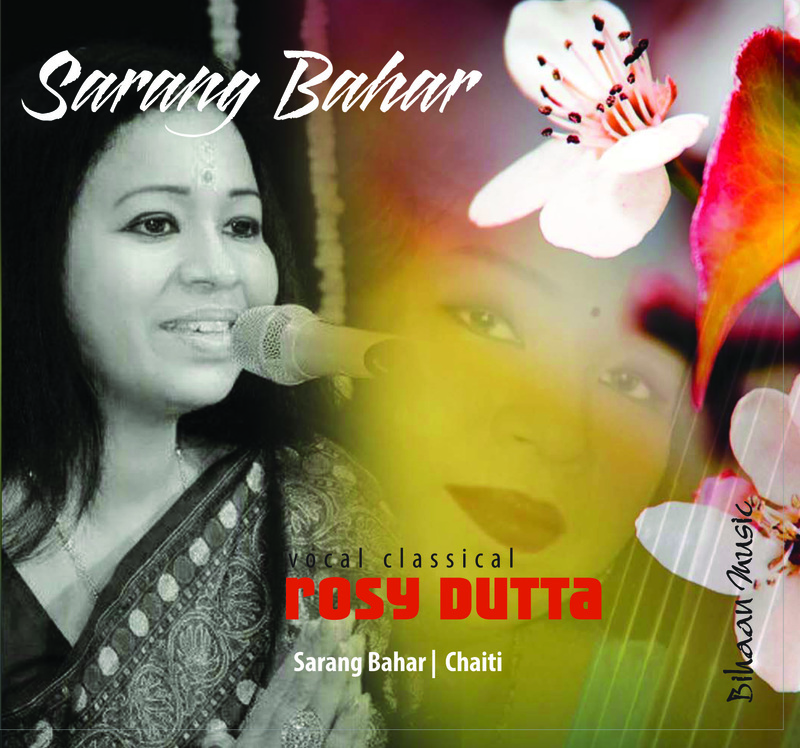 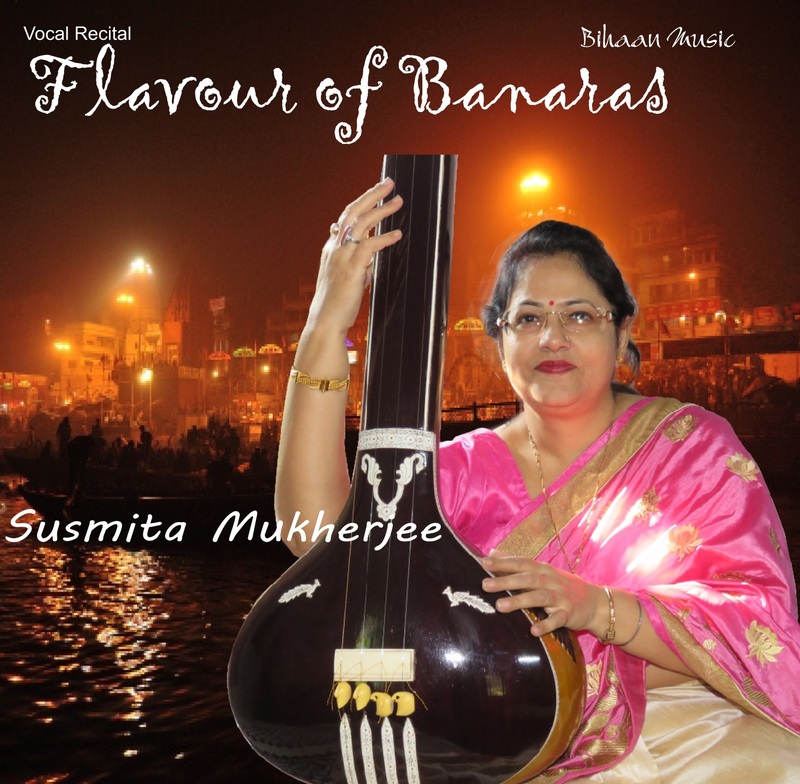 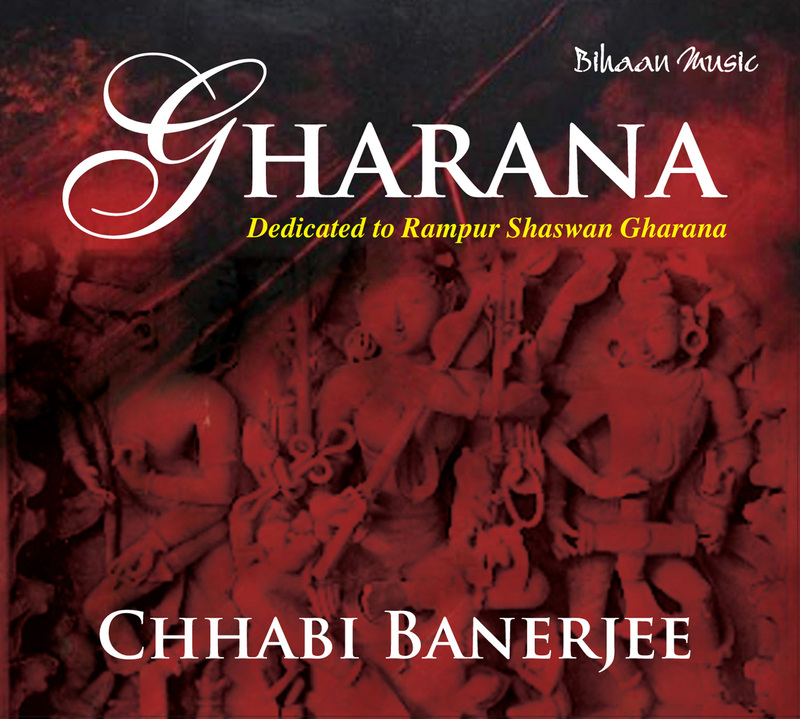 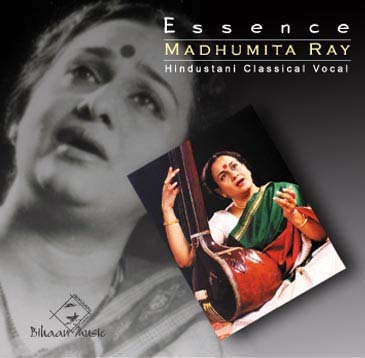 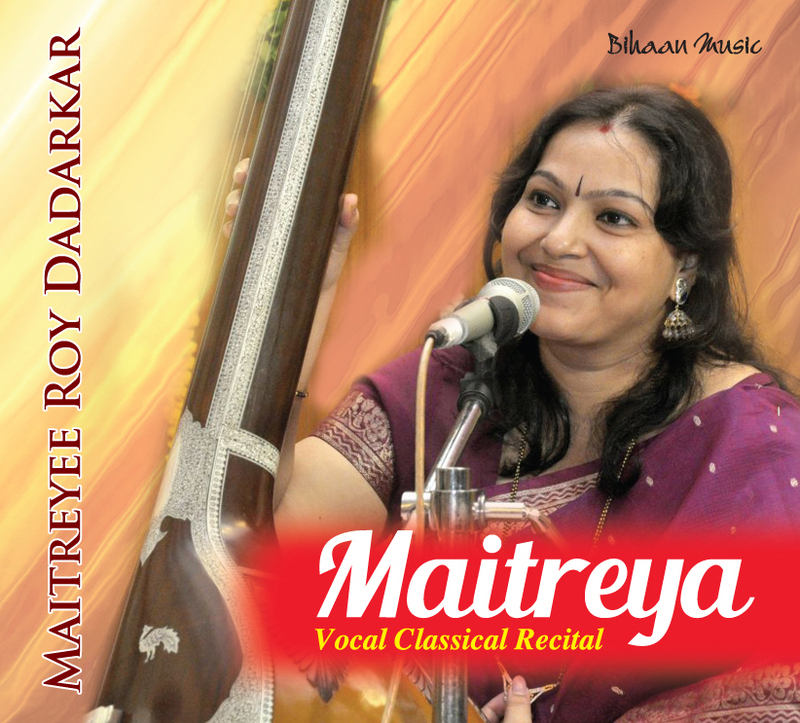 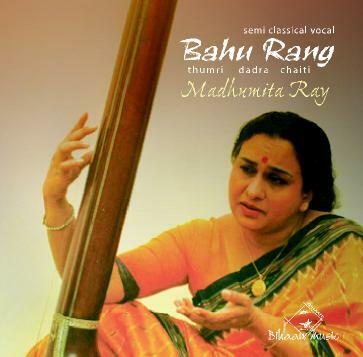 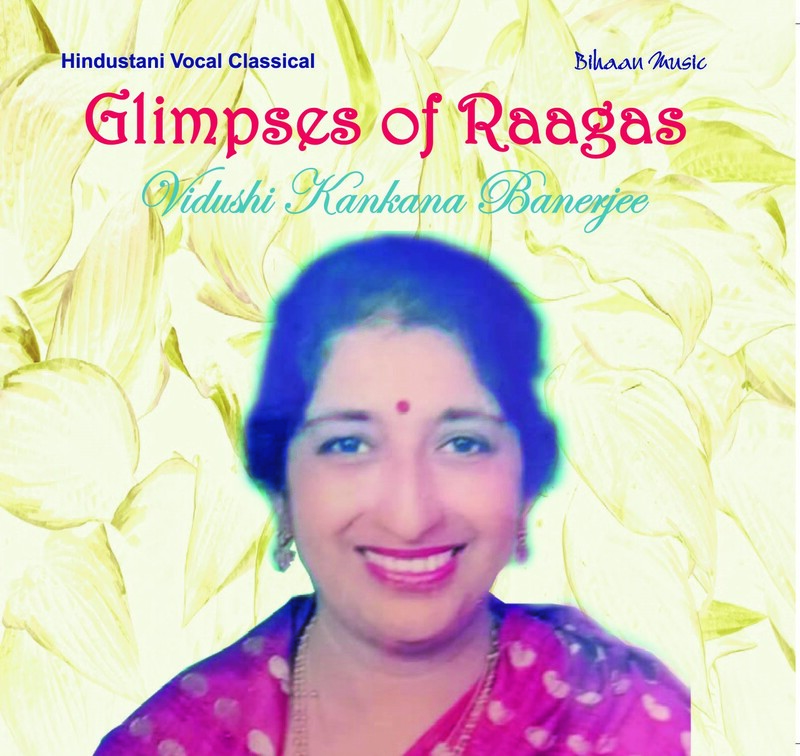 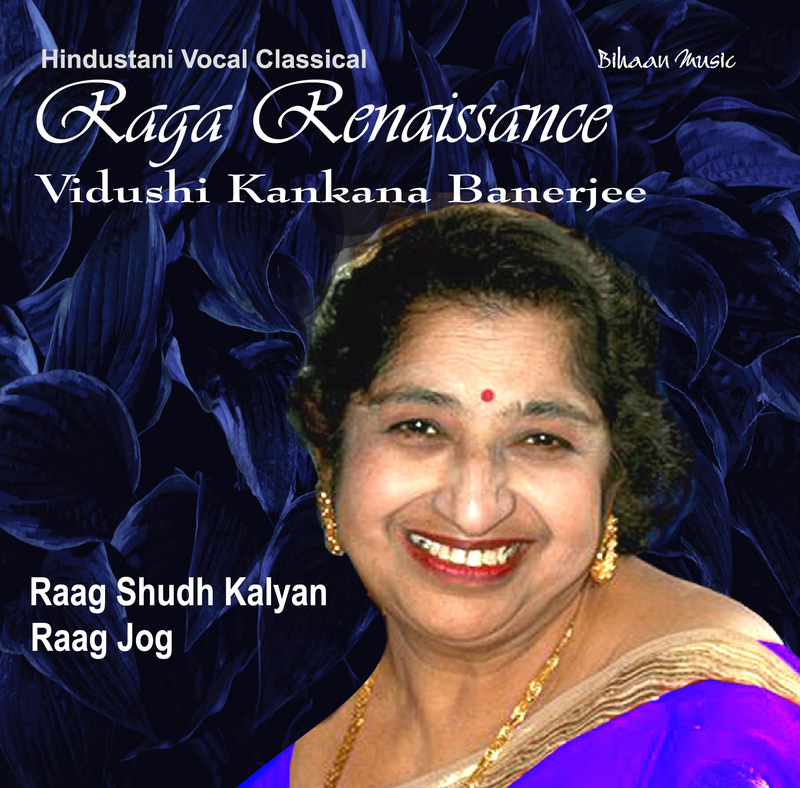 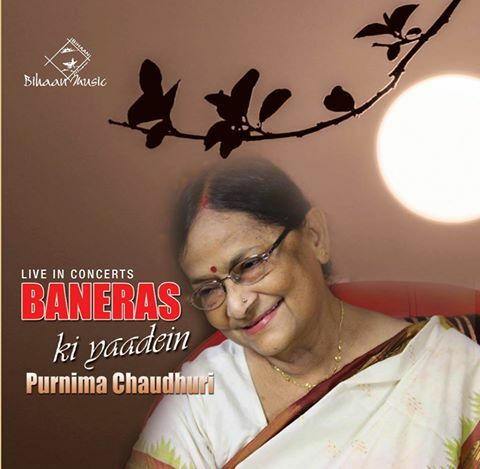 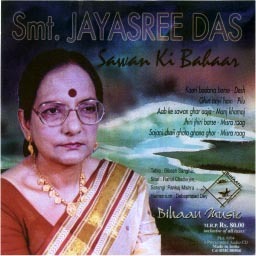 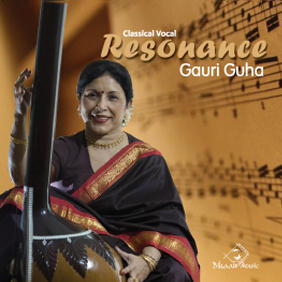 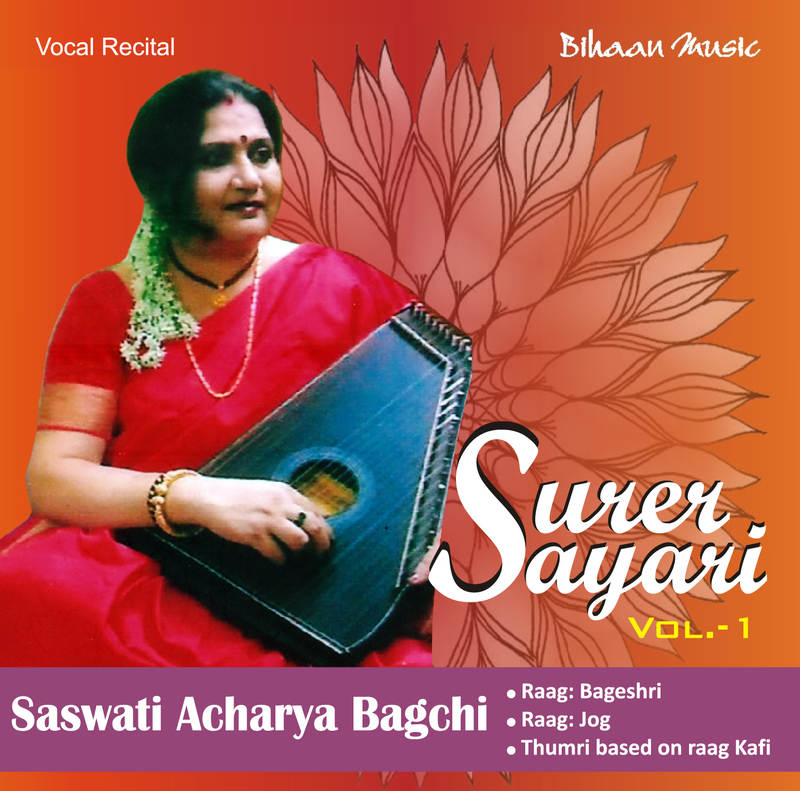 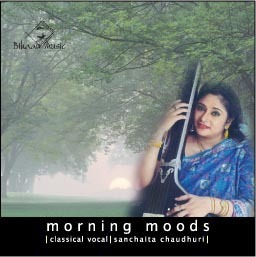 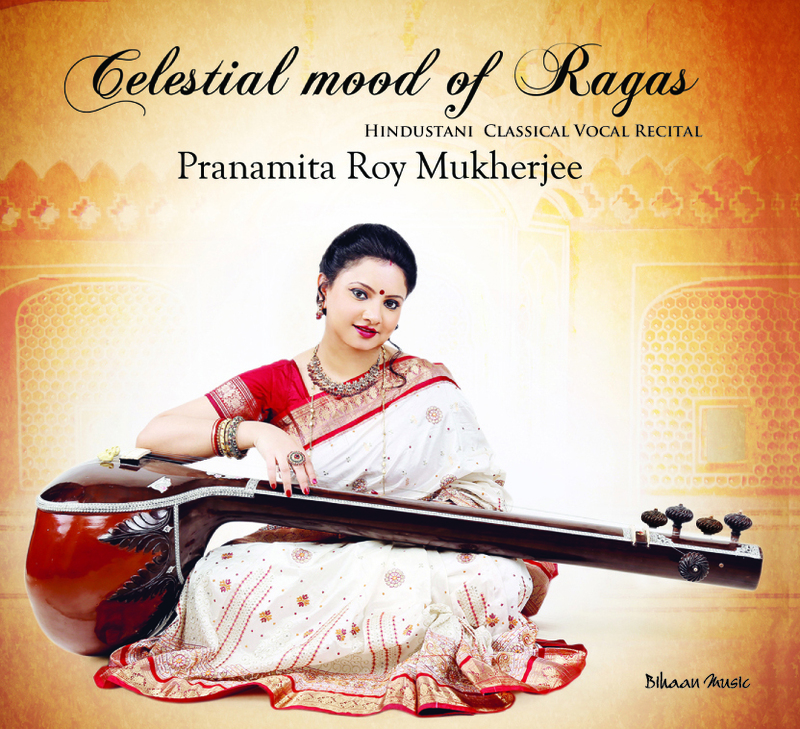 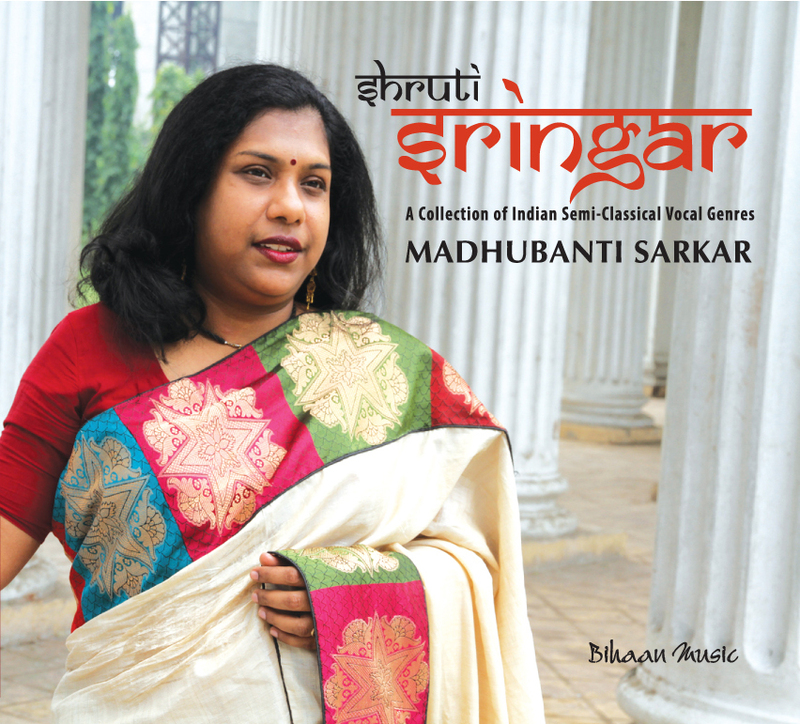 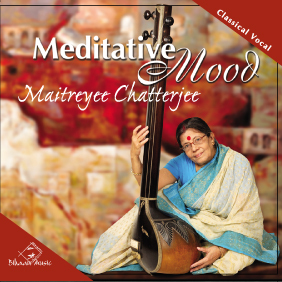 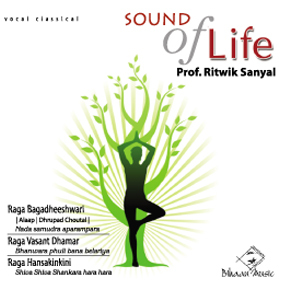 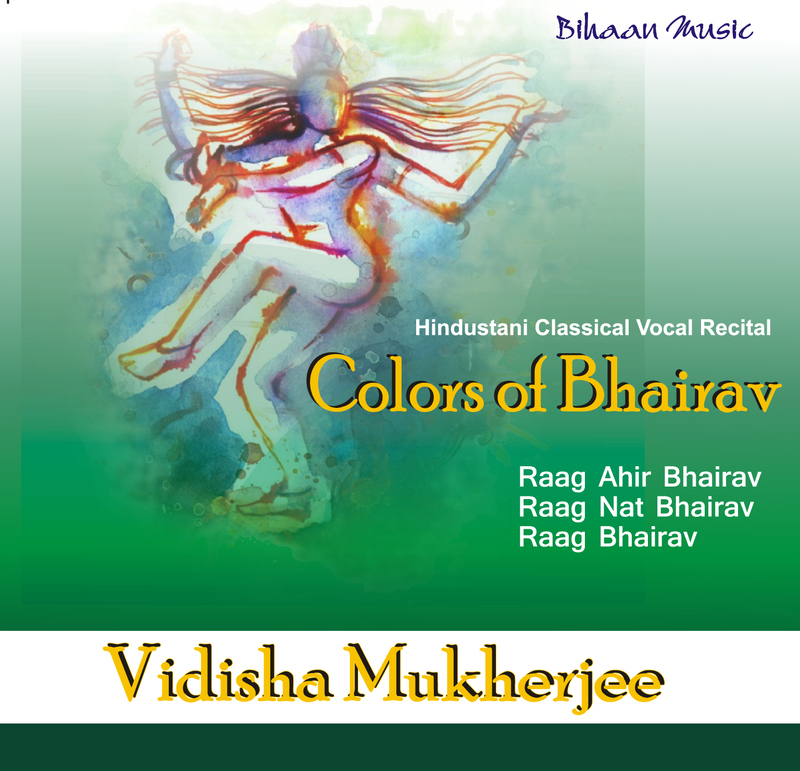 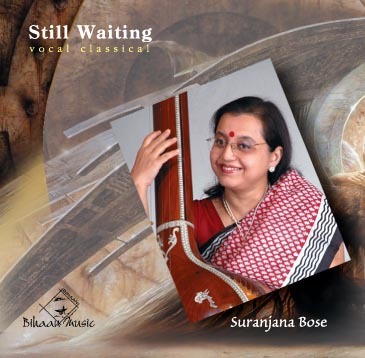 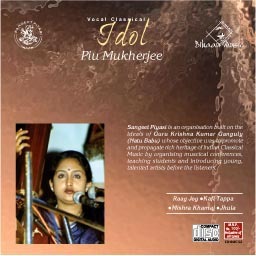 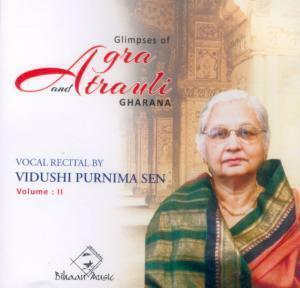 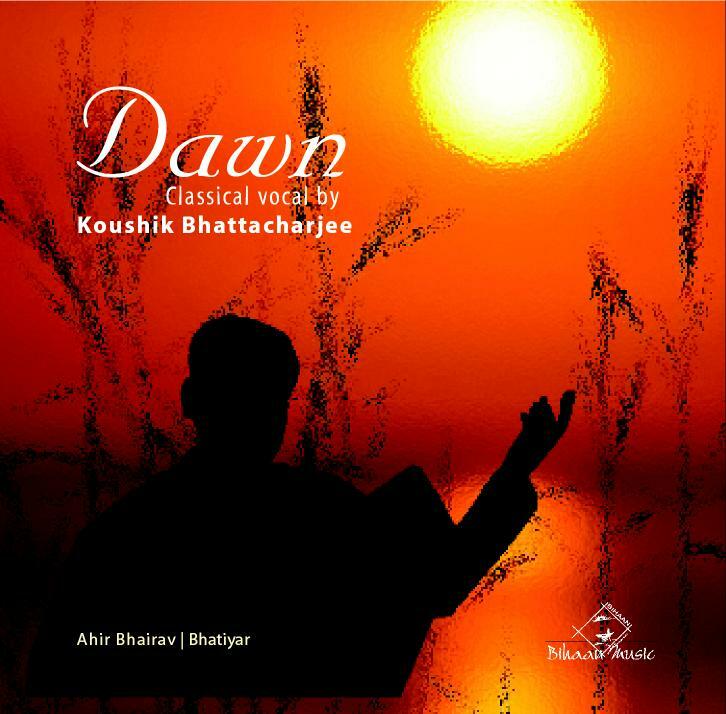 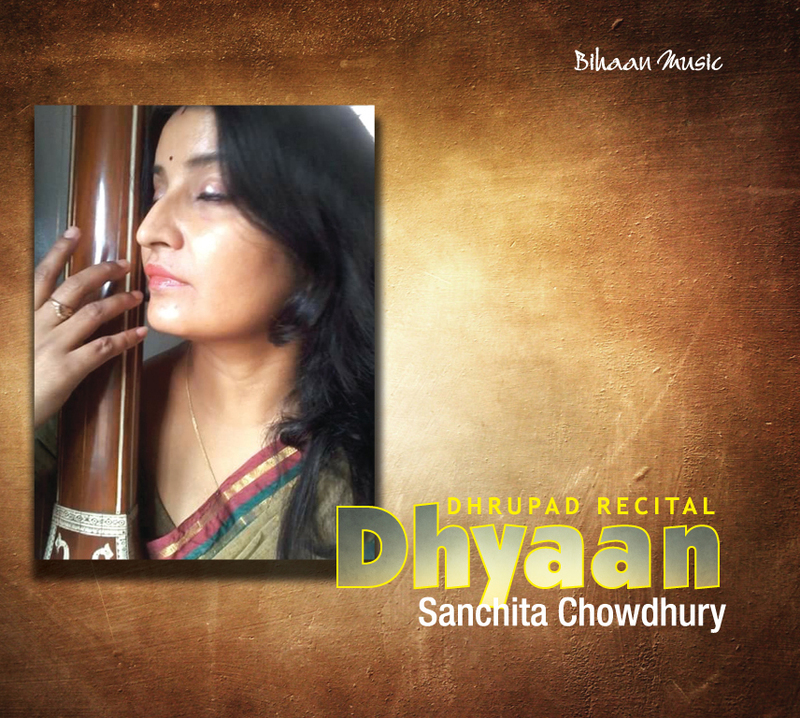 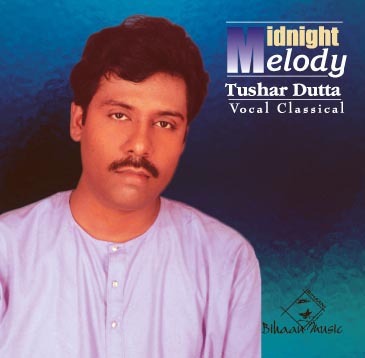 I have selected Subhra Guha's voice for this work because besides being a very fine performer, she is amongst the very few young musicians who can handle 60/70 ragas with correct naunces and perferct ease and confidence.I also took the decision for the entire series I wanted one pitch and one voice. 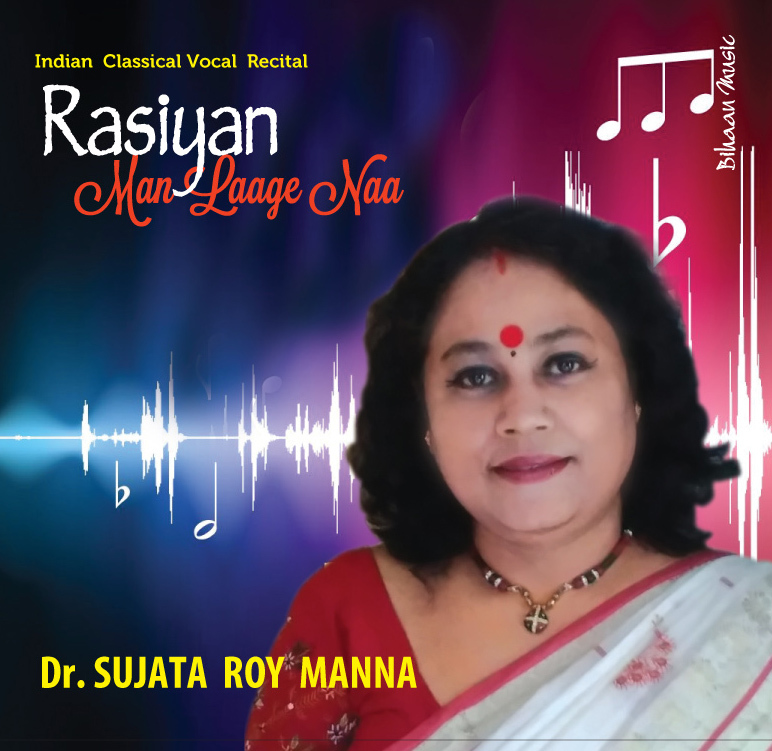 I hope my work will be well received and will help and benefit deserving and aspiring students of musicas and also the connoisseurs. 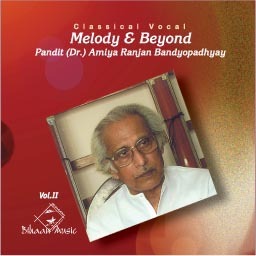 Vijay Kichlu, a master of arts from the University of Allahbad, is a unique combination of executive ability and artistry. 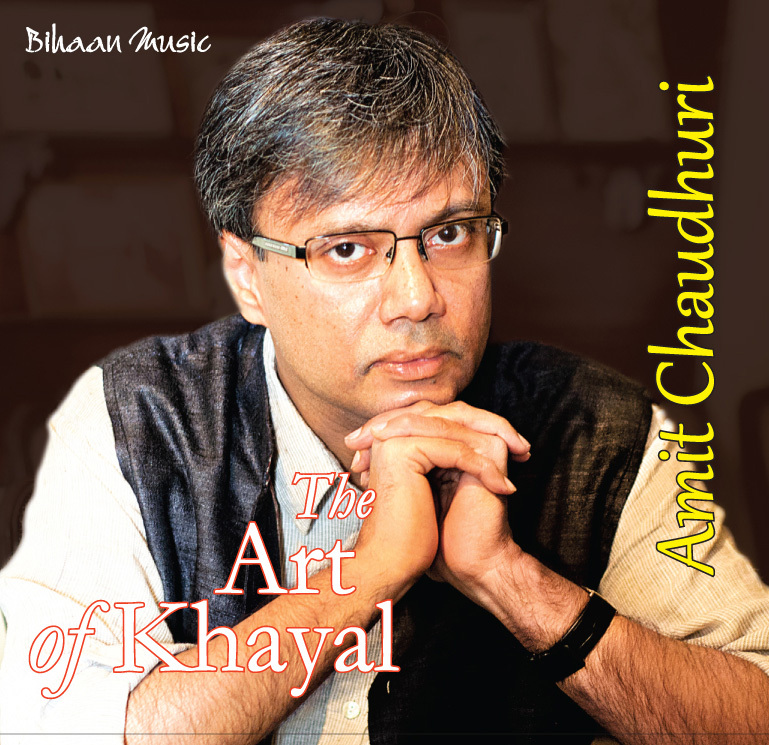 After an impressive career as a mercantile executive, Vijay Kichlu is now at the helm of the revolutionary institution in the field of arts, Sangeet Research Academy, a creation of the well-known commercial house, ITC Limited. 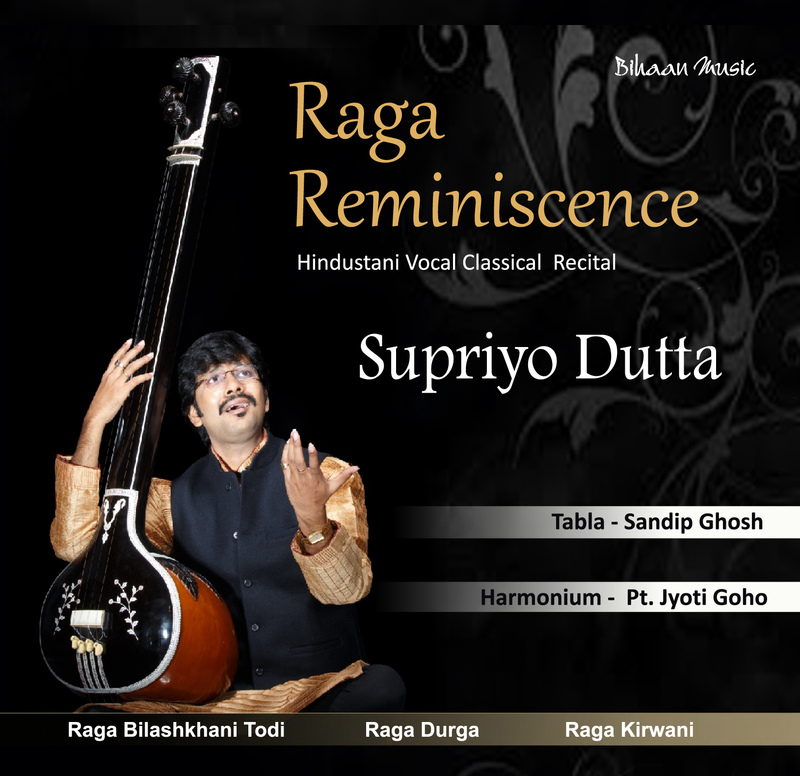 As the executive director of SRA, Vijay Kichlu is totally committed to classical music, its propagation and preservation. 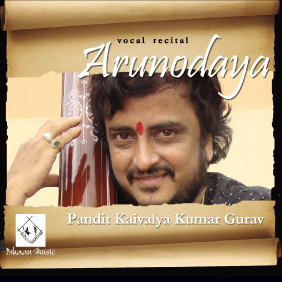 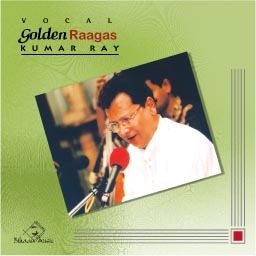 Although he did not take music as a profession, Vijay Kichlu has been recognized as a leading vocalist of the Agra gharana in the country with an impressive standard of musicianship. 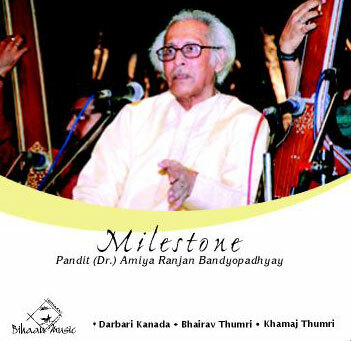 His initial training in the music commenced at the tender age of seven with Pandit Nathuram Sharma. 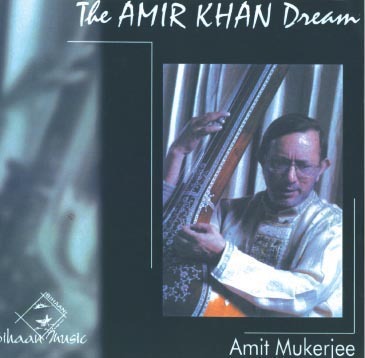 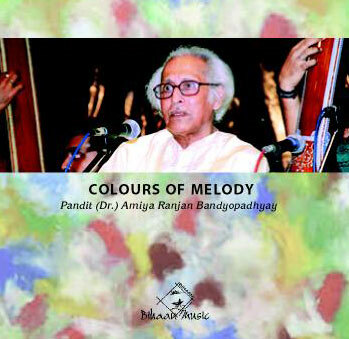 Later, he was greatly influenced by the gayaki of Ustad Faiyaz Khan, the colossus of the Agra gharana. 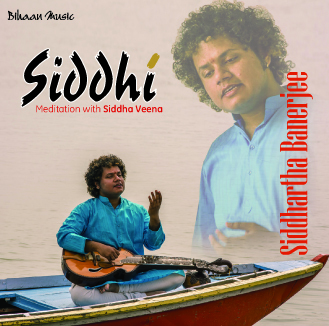 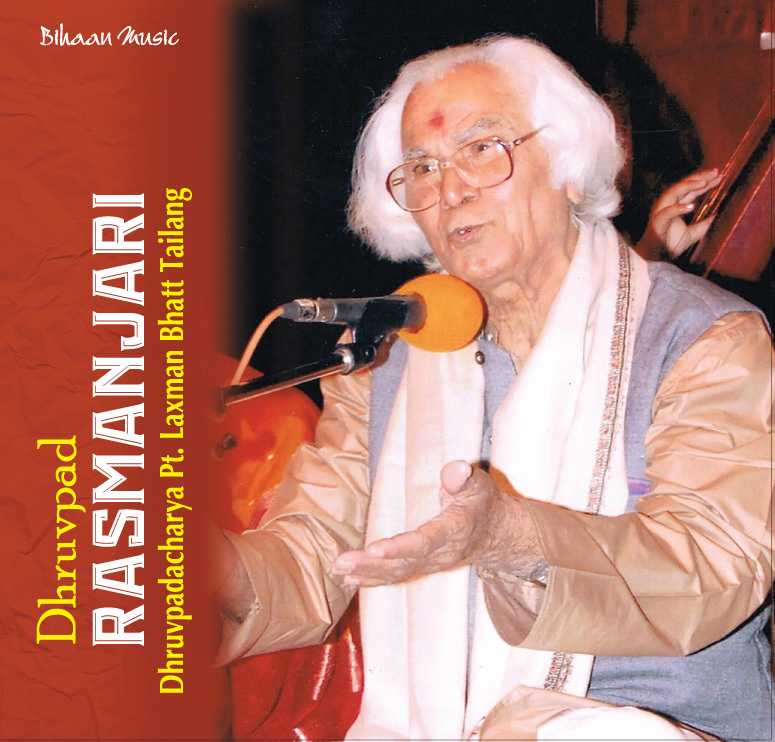 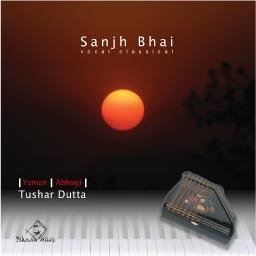 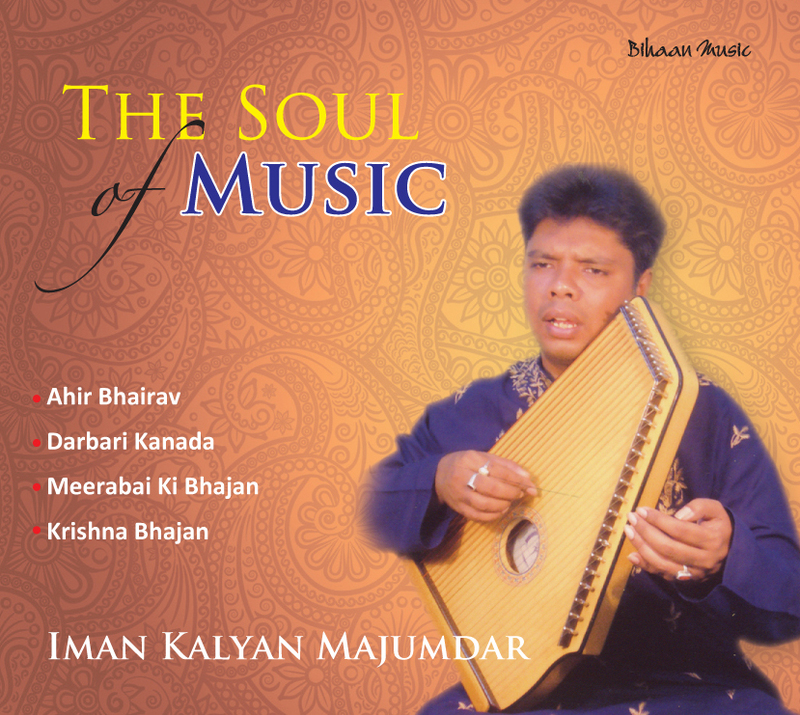 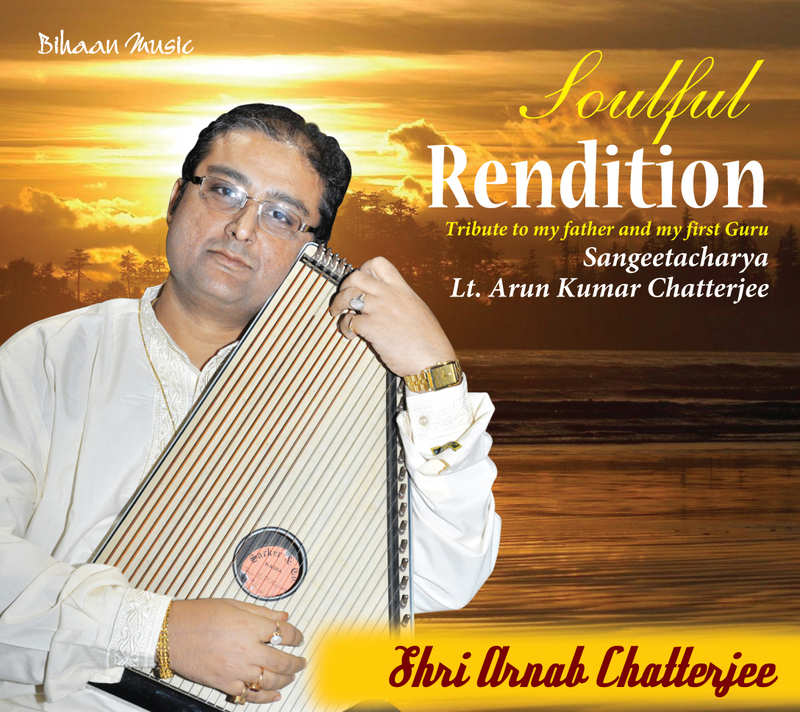 While in college at Varanasi he had the good fortune of becoming the disciple of Ustad Moinuddin Dagar and the Ustad Aminuddin Dagar, popularly known as Dagar Brothers and the torchbearers of the dhrupad style. 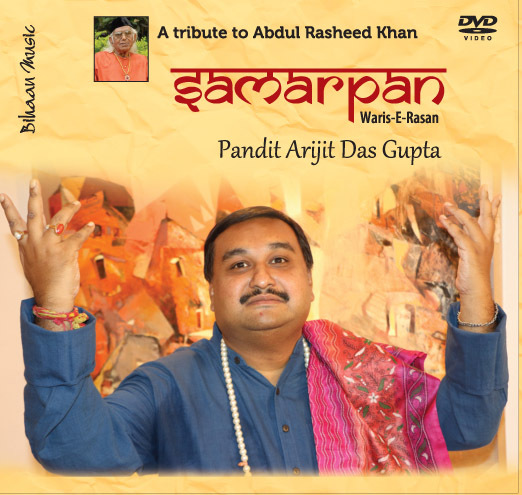 Then he took guidance from the late Ustad Latafat Hussain Khan of the Agra gharana. 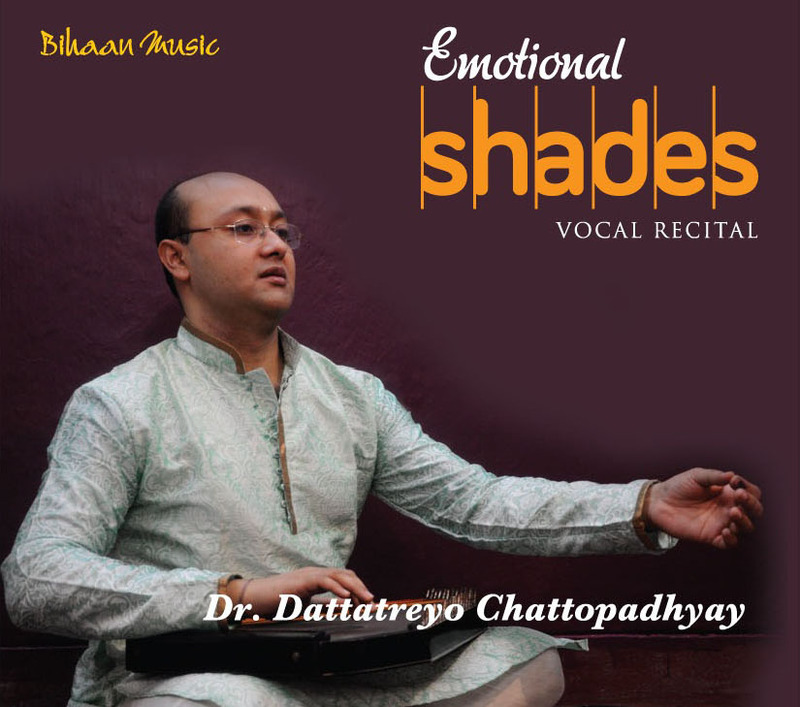 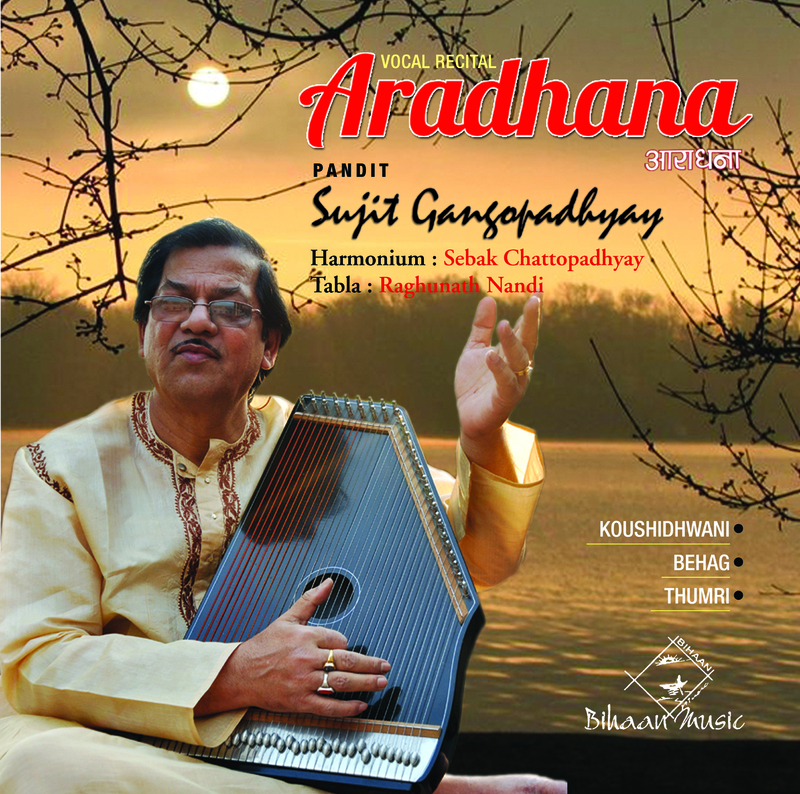 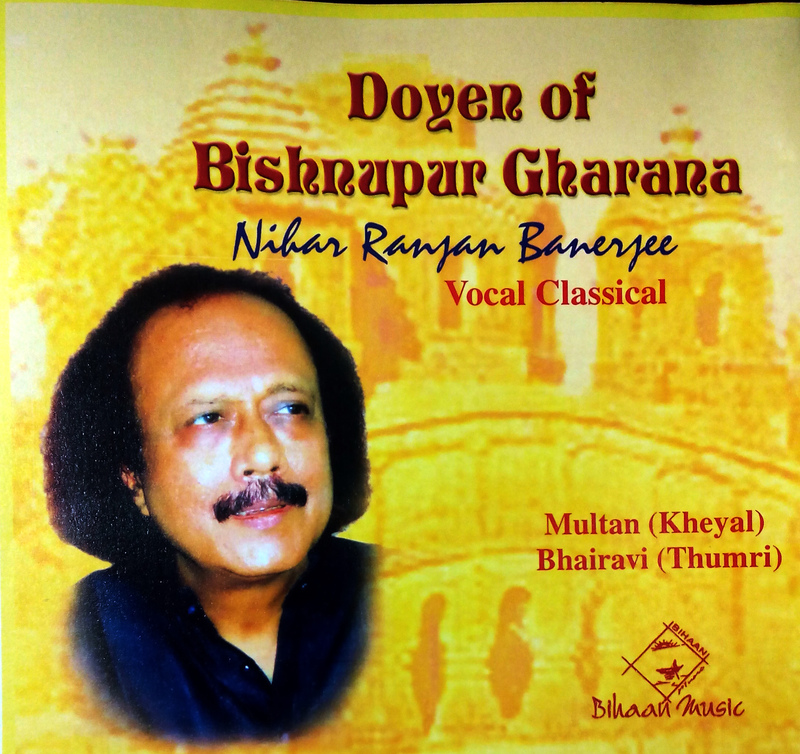 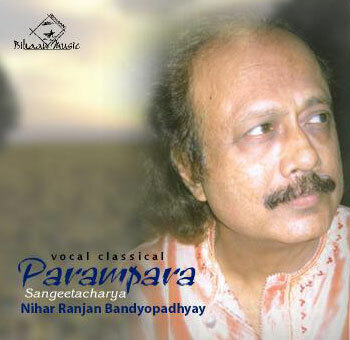 He follows the Agra gayaki, his forte being alapchari in the traditional dhrupad style composition in madhya laya and the bol-taans true to the character of the gharana gayaki. 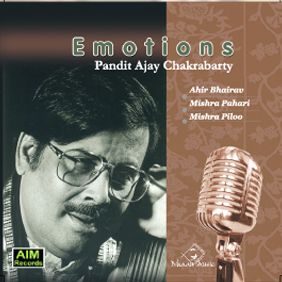 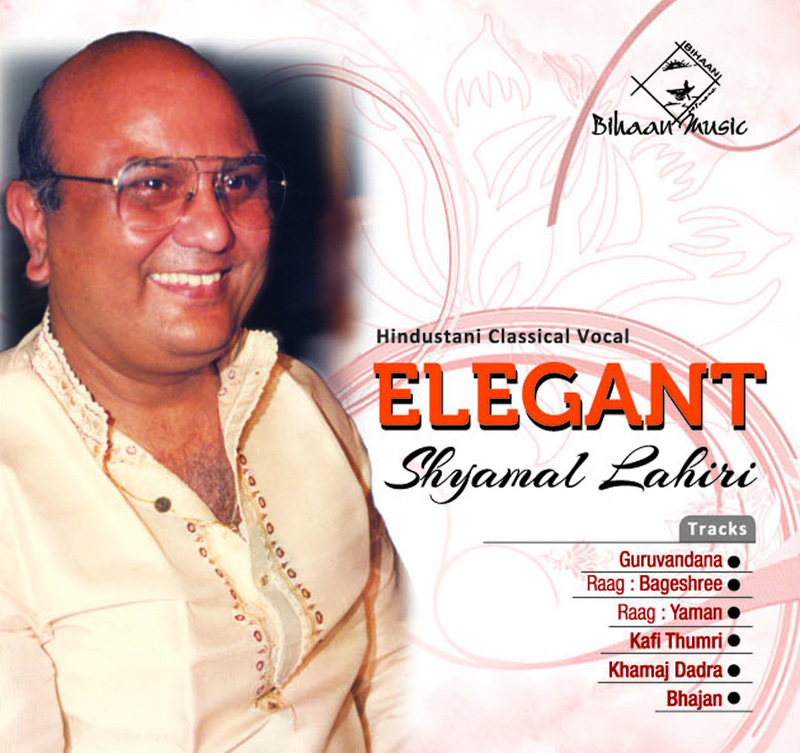 Vijay Kichlu is an A grade artiste of all India Radio and Doorsdarshan TV. 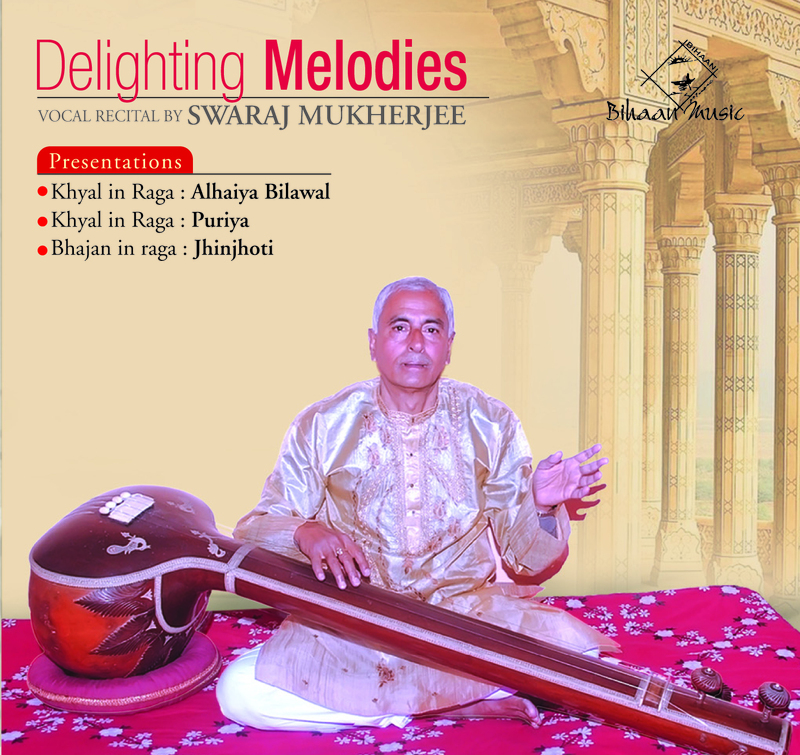 He, along with his younger brother Ravi Kumar Kichlu, appeared several times in the Sangeet Program of Music of All India Radio, Radio Sangeet Sammelan and Doorsdarshan. 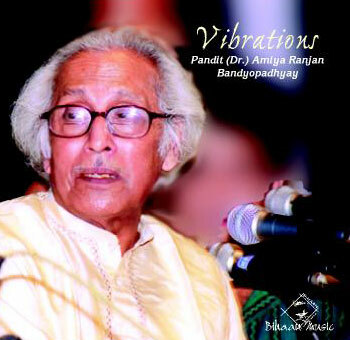 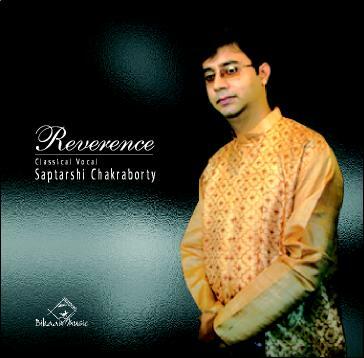 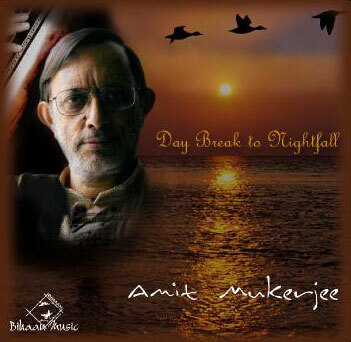 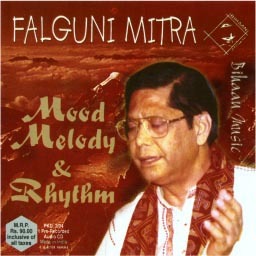 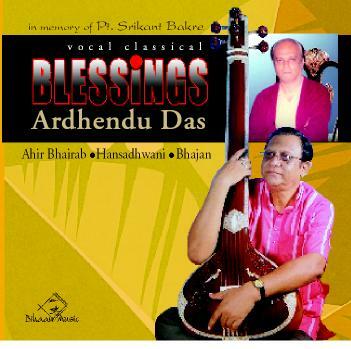 This apart, he regularly broadcasts vocal music through All India Radio and Doorsdarshan, Calcutta. 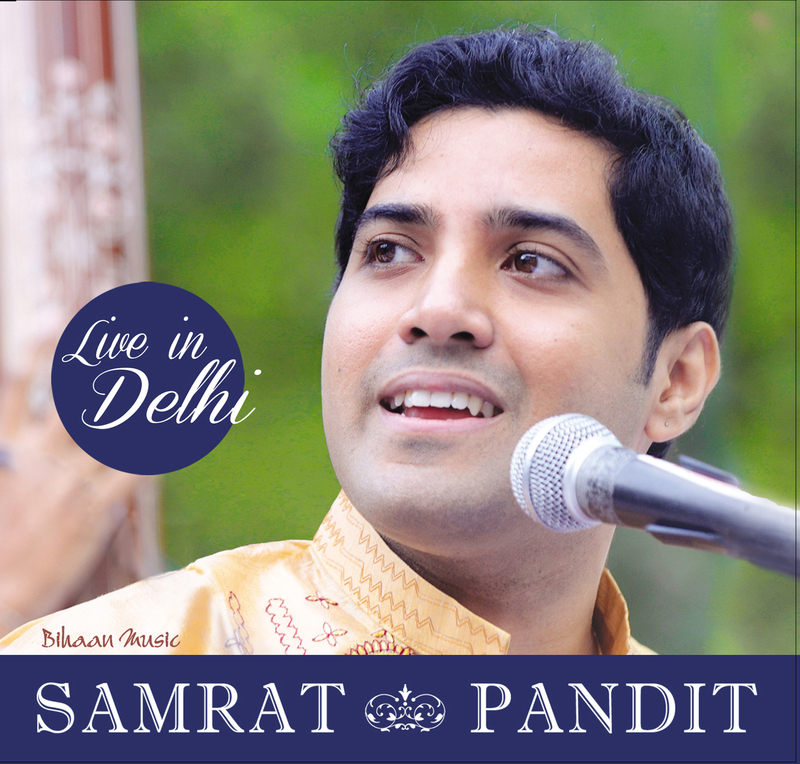 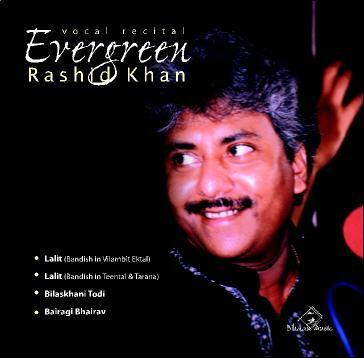 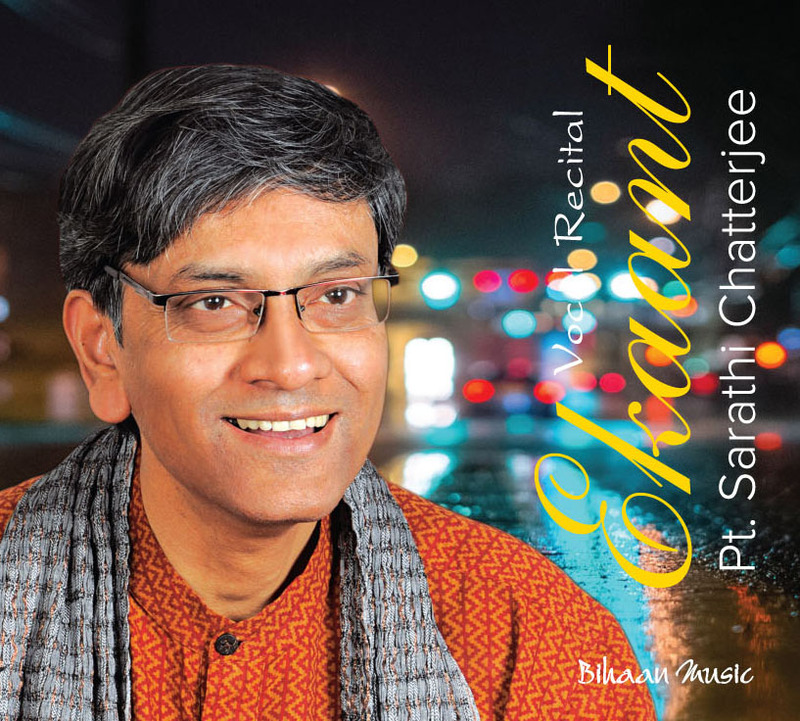 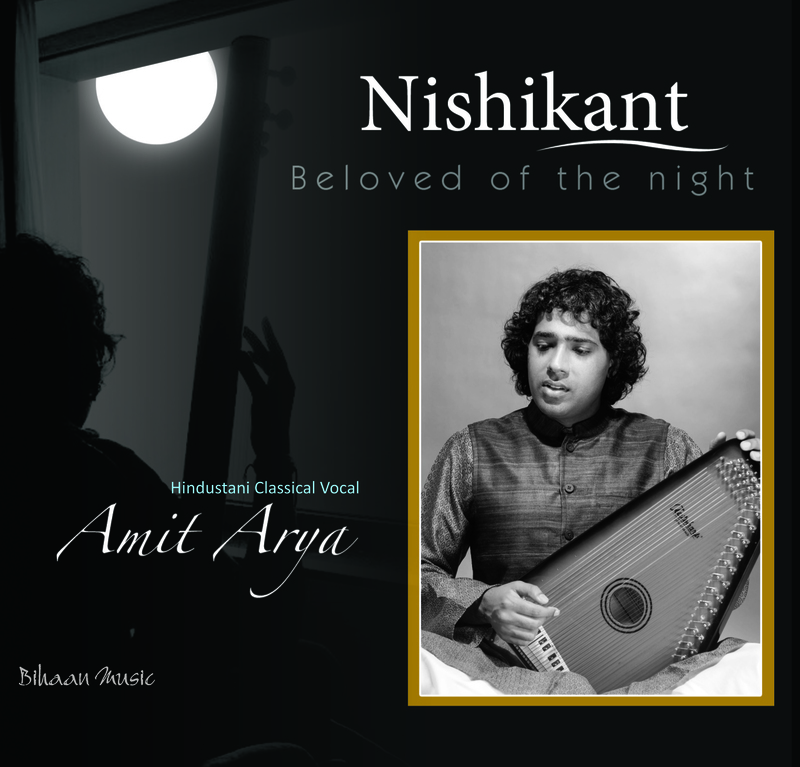 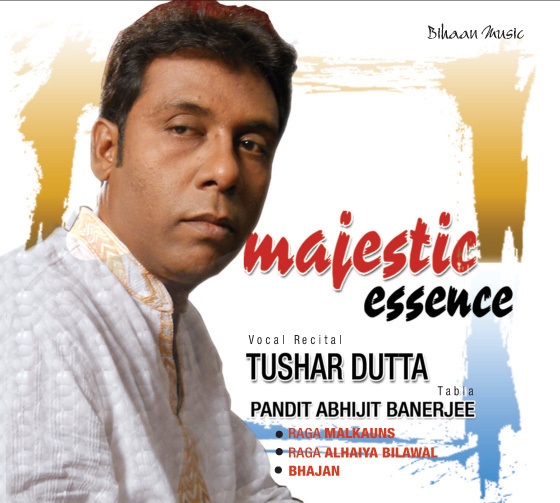 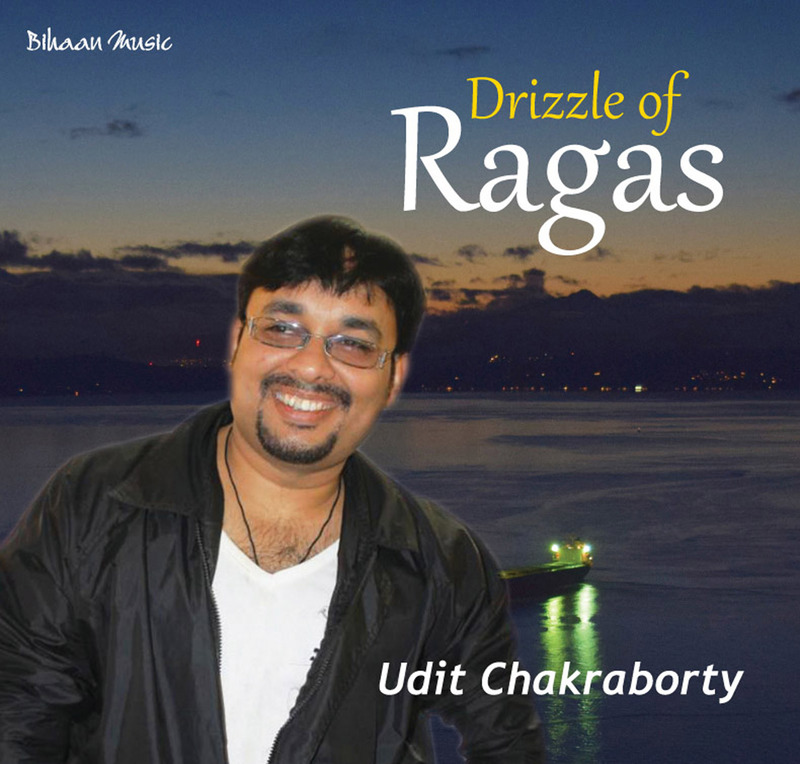 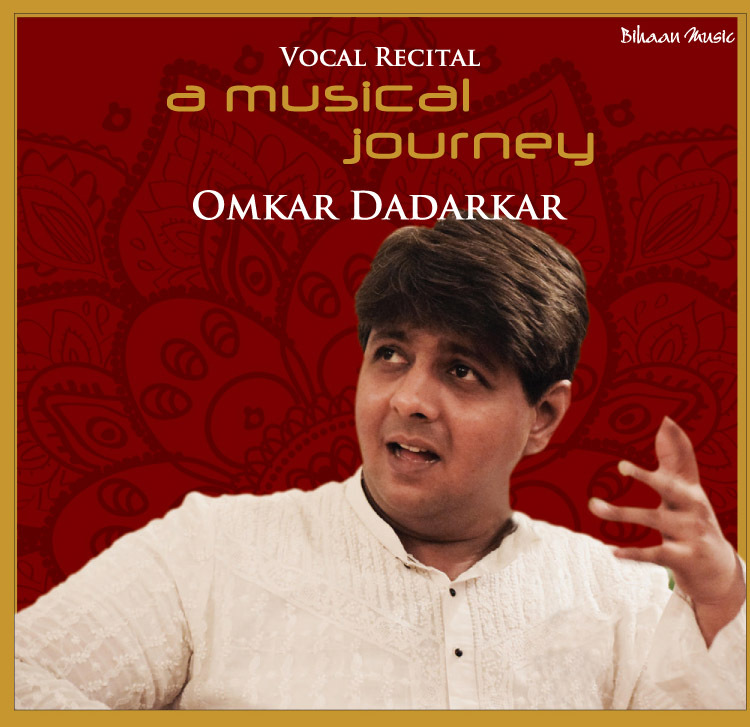 He has an impressive record of public performances of classical vocal music all over India and in the USA, Canada, Europe and the Middle East countries. 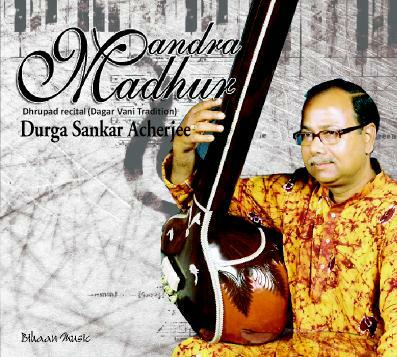 He participated in the Festival Of India held in the USA. 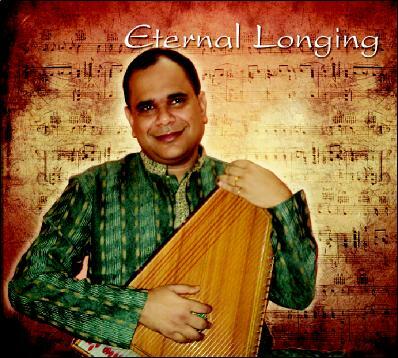 An erudite musician and a very fluent speaker, Vijay Kichlu has rapidly risen to fame in musicological circle. 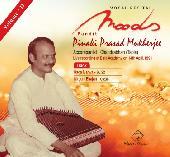 His lecture-demonstrations and compact workshops are pleasantly enlightening for the listener and participant. 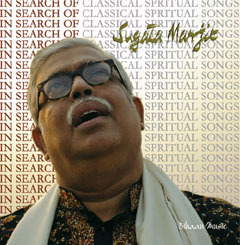 He has made significant contributions in several important musicals and musicological meets all over the world, significantly in Italy, Philippines, the USA and West Germany. 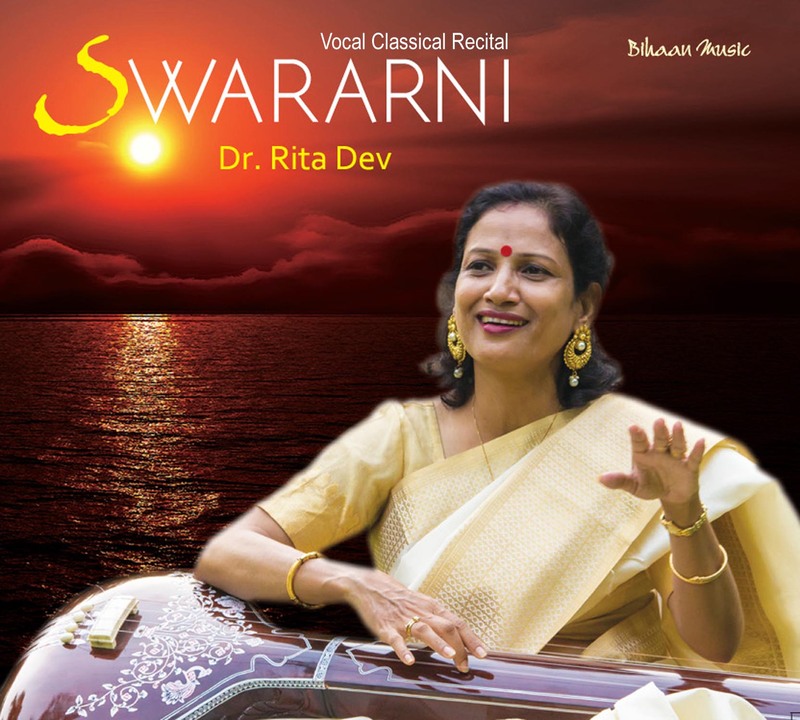 He has been granted Honorary Citizenship of the State of Maryland and also of the City of Baltimore by the Governor of Maryland and the Mayor of Baltimore respectively in appreciation of his services for the promotion of Indian Classical music in the USA.